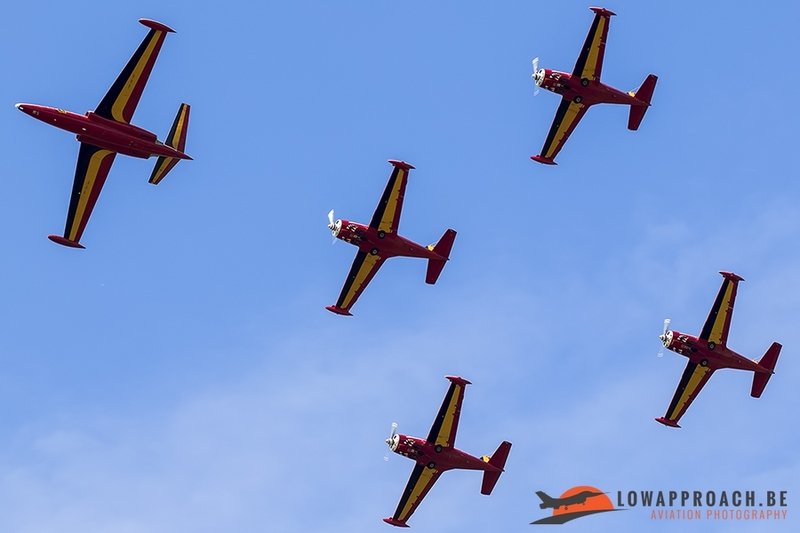 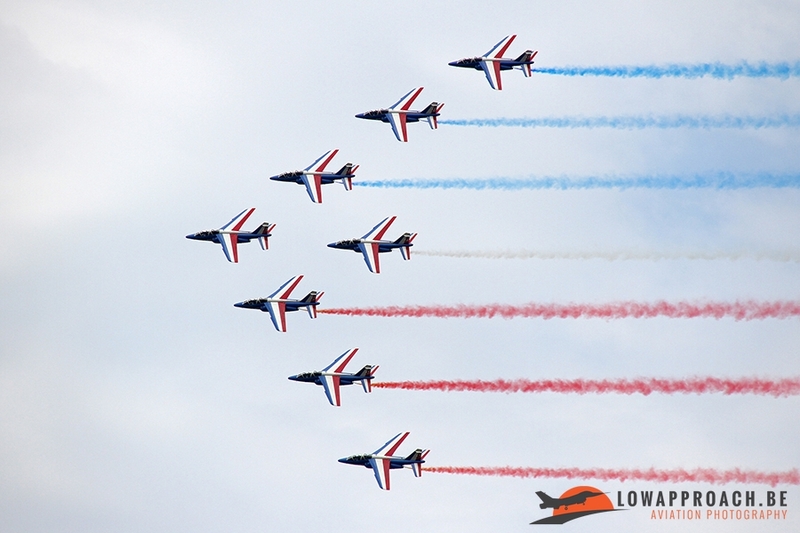 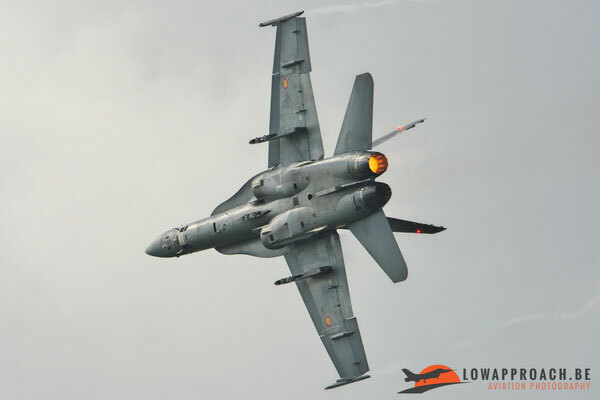 Since 2014 the Belgian Air Force organizes an airshow every 2 years. 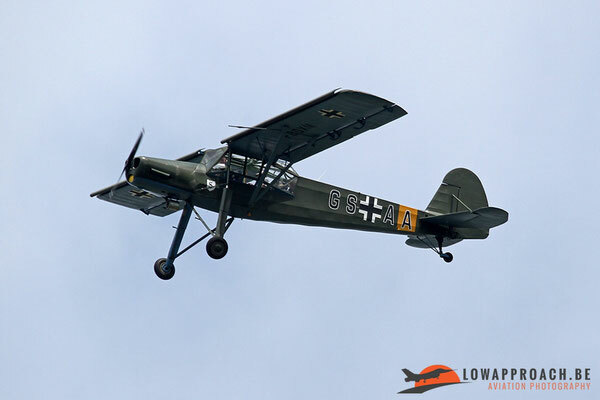 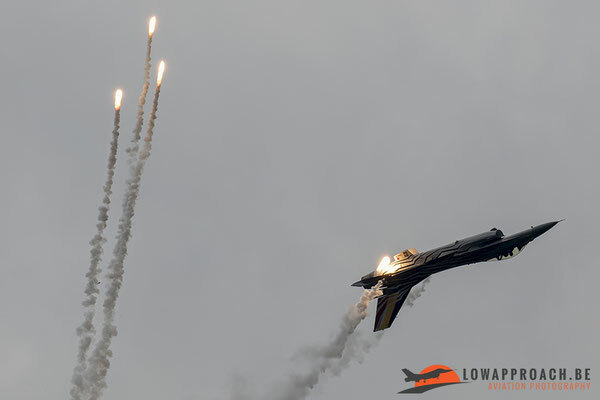 In 2014 the airshow was held at Kleine Brogel air base. In 2016 the other main F-16 operating base in Belgium was in turn to organize the airshow. 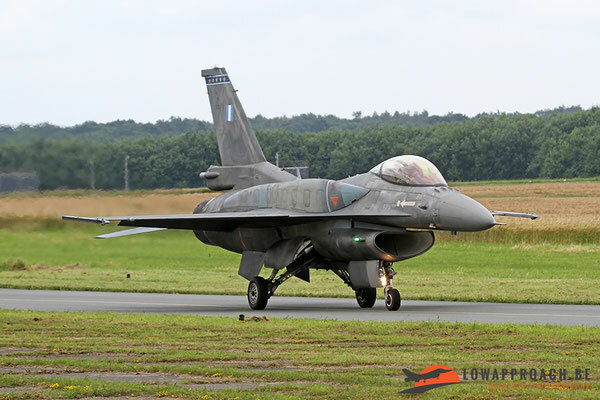 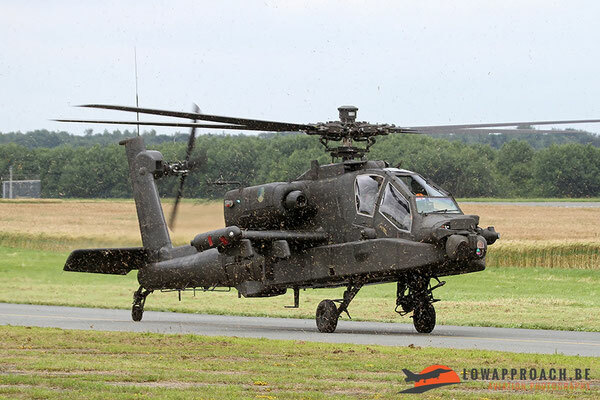 This base is located in the south of Belgium, it’s the 2nd Tactical Wing based at Florennes. At this base, 2 squadrons are located, 1st squadron “Stingers” and 350th squadron “Matrix”. 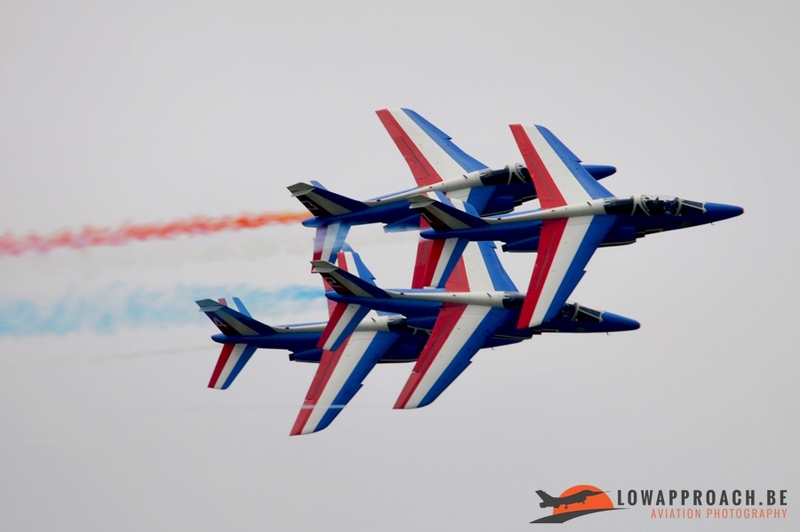 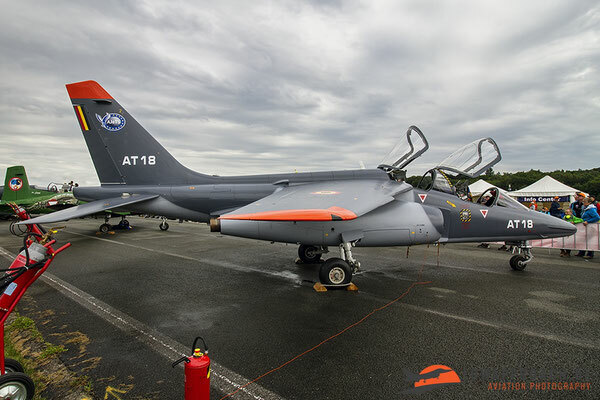 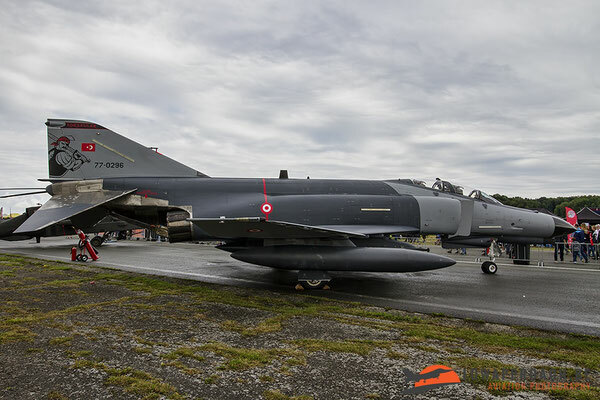 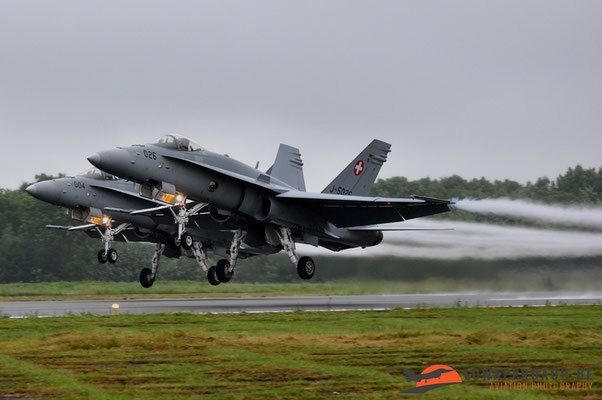 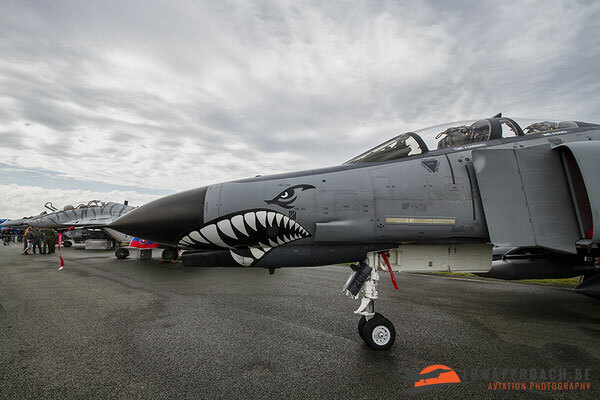 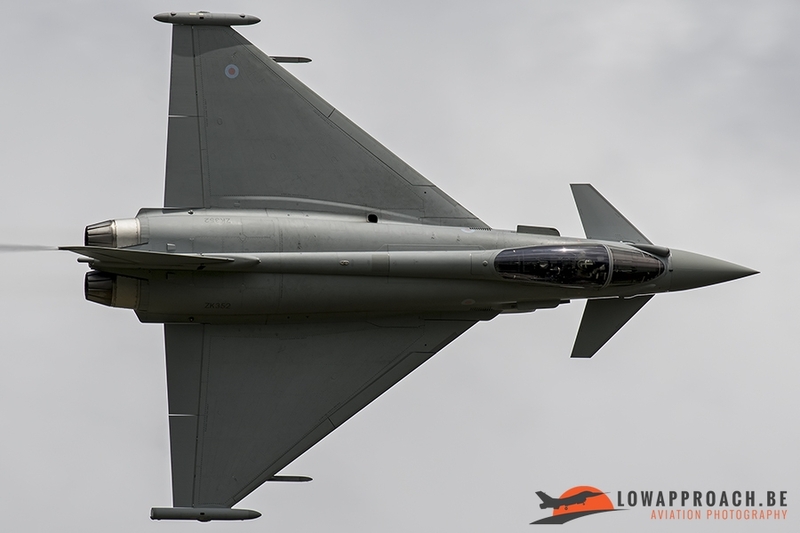 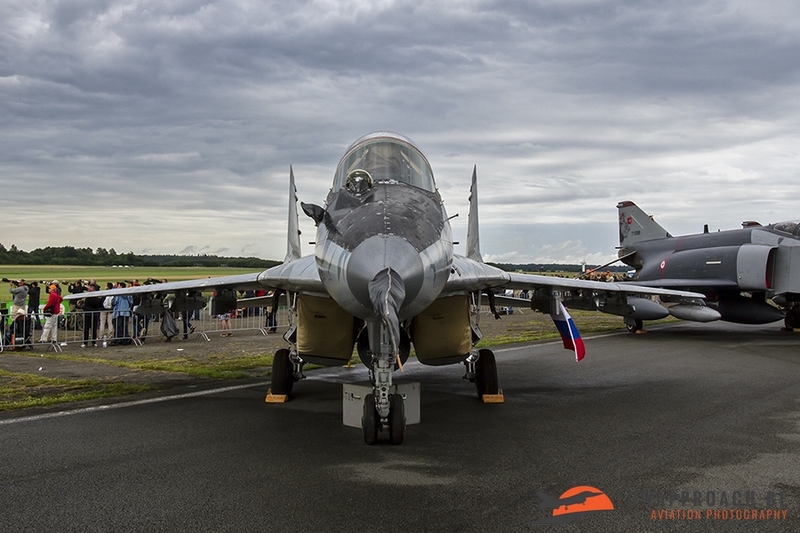 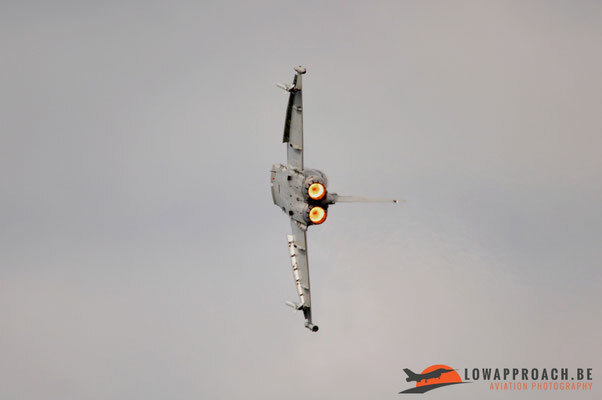 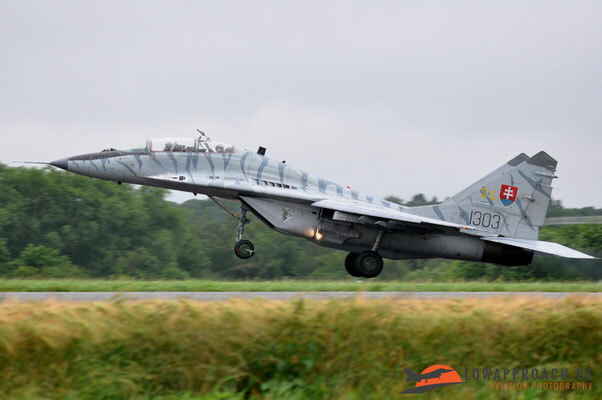 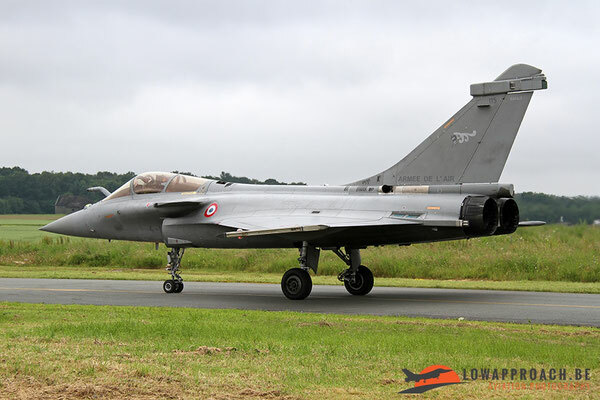 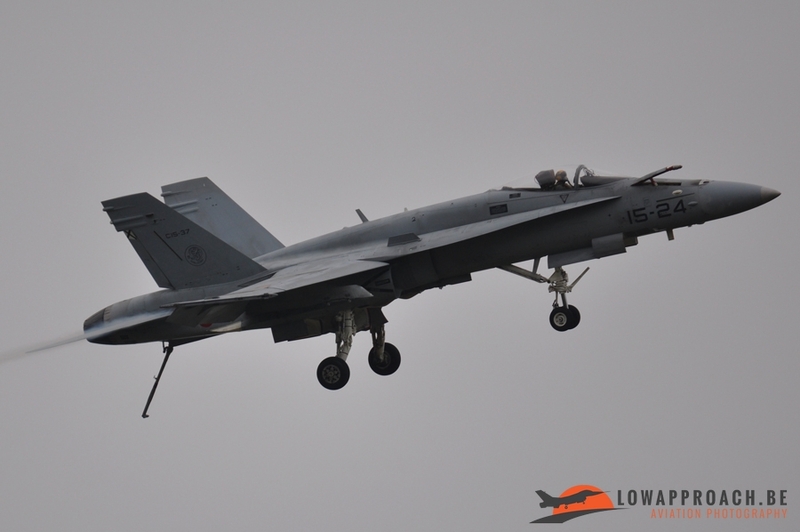 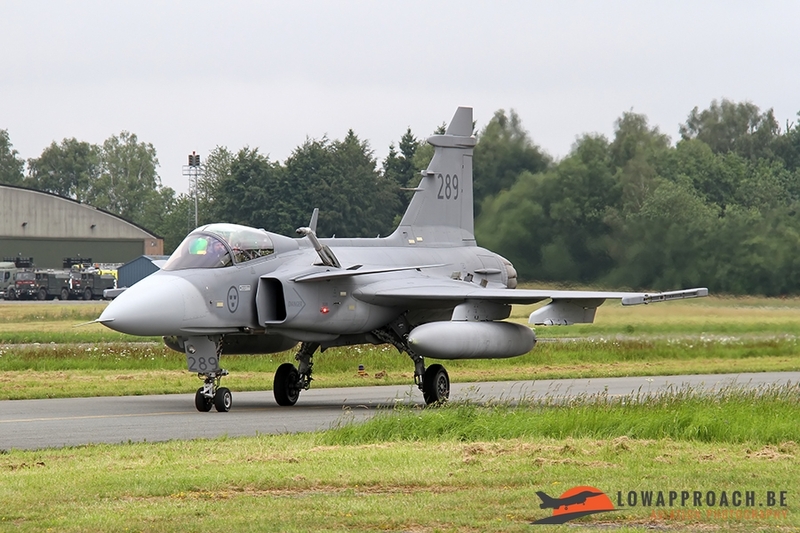 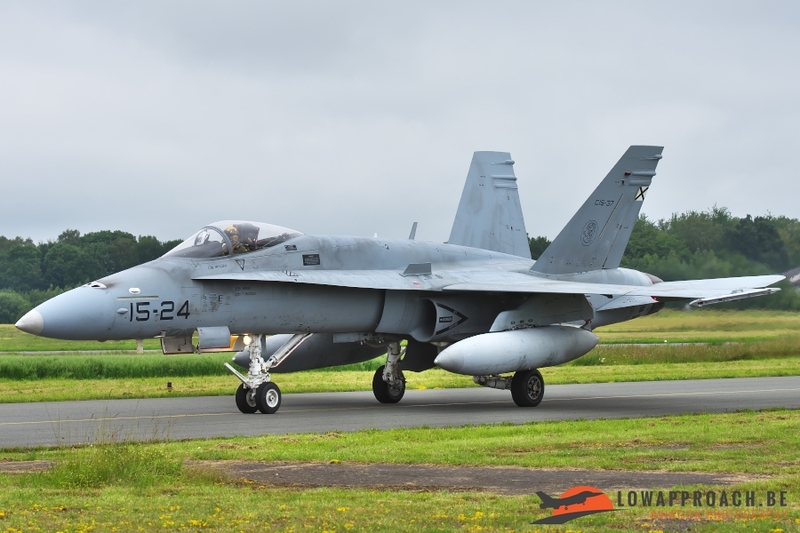 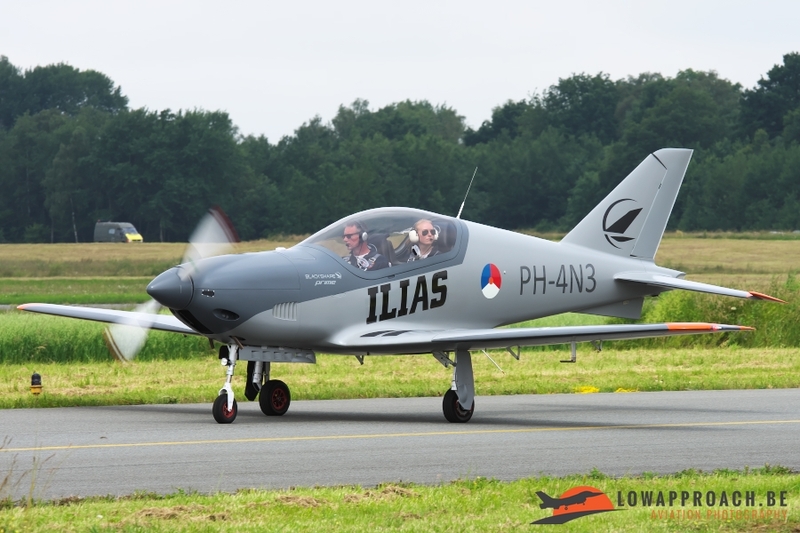 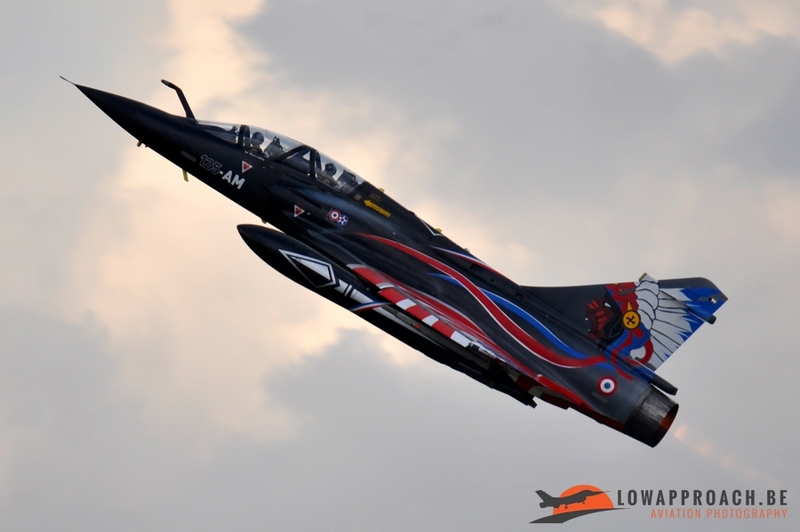 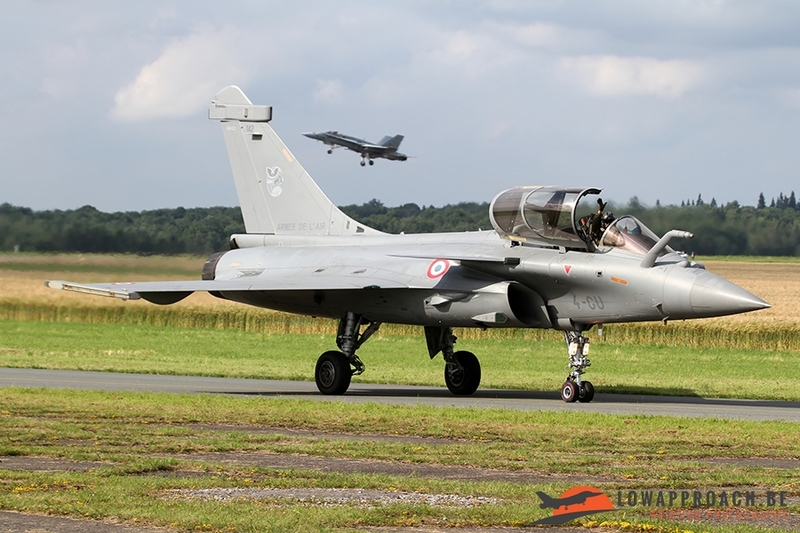 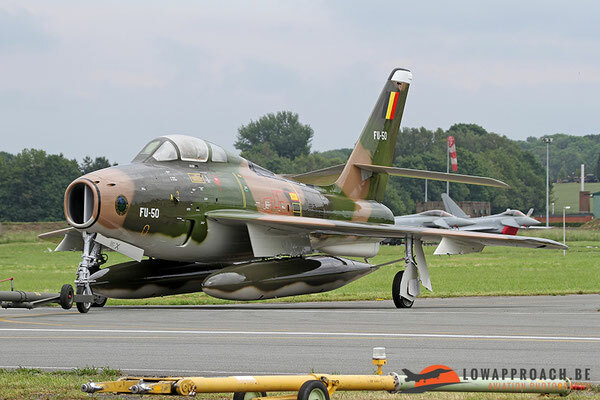 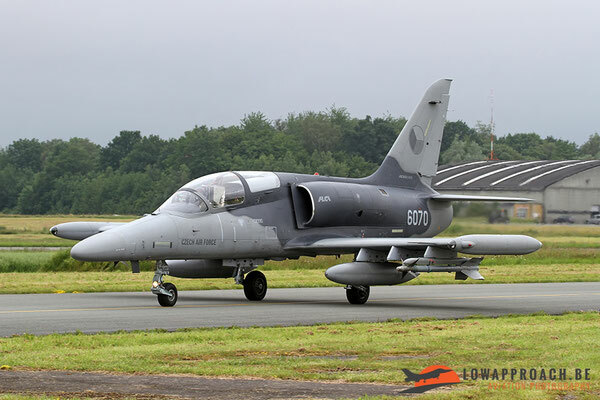 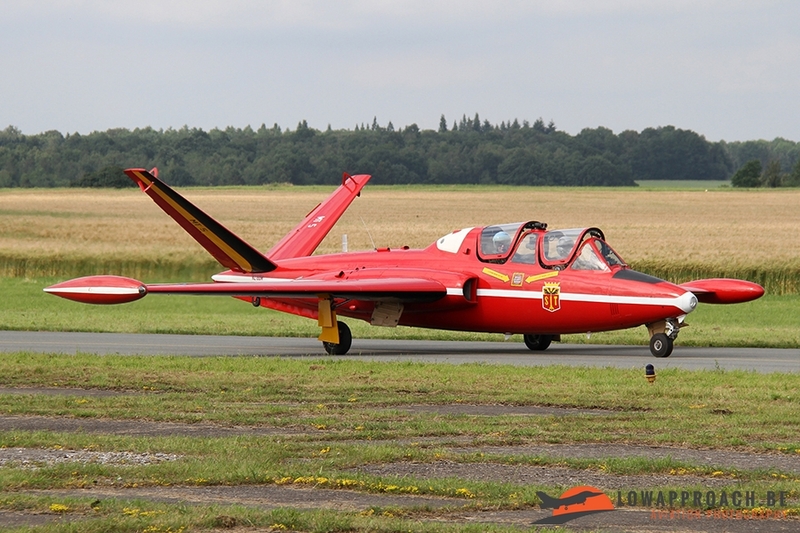 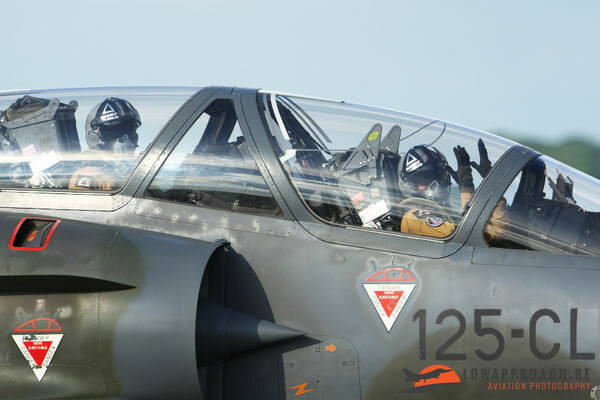 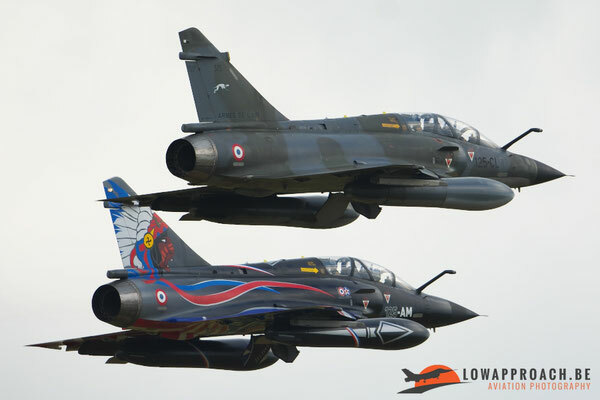 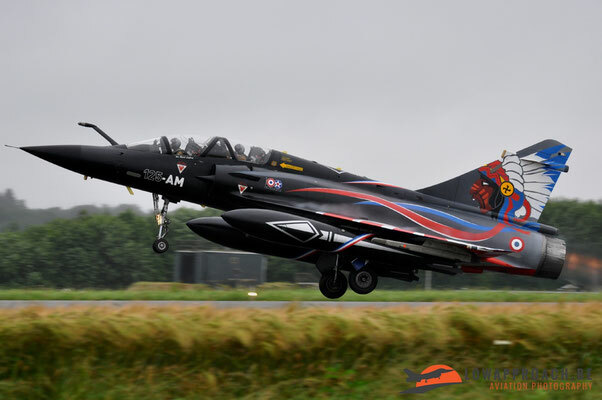 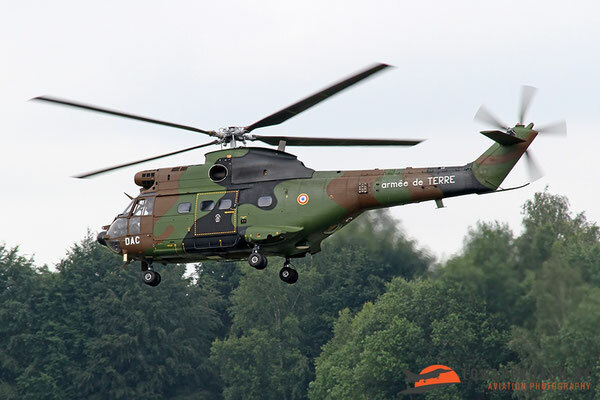 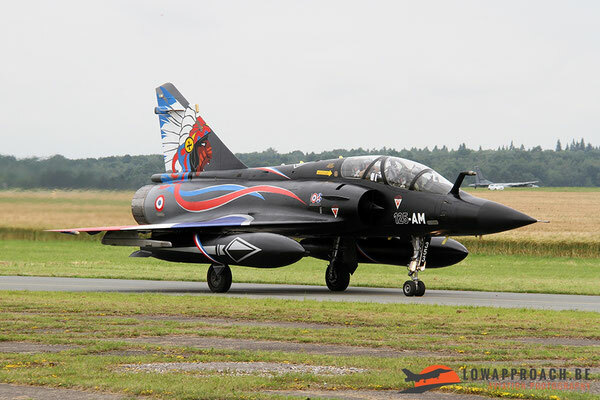 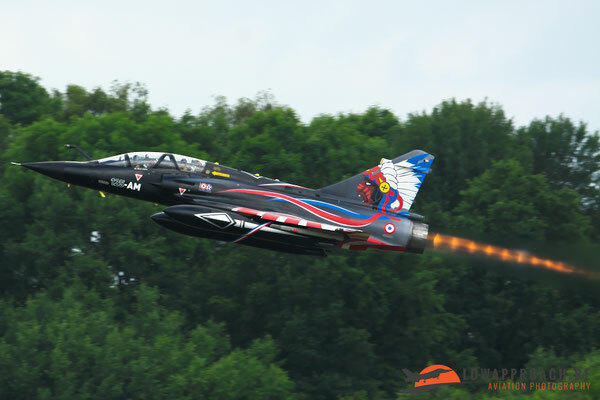 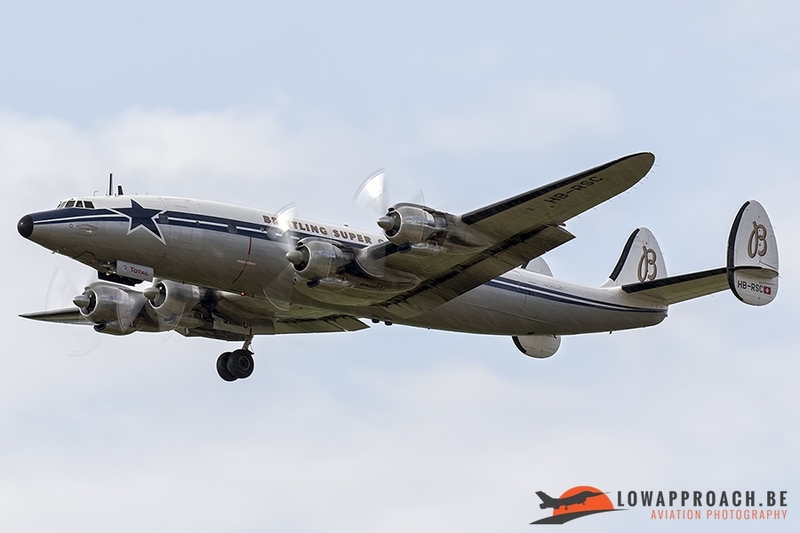 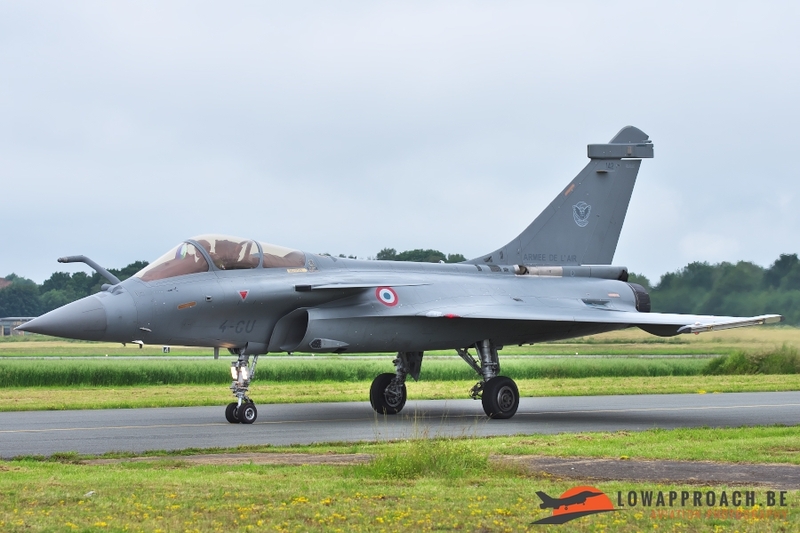 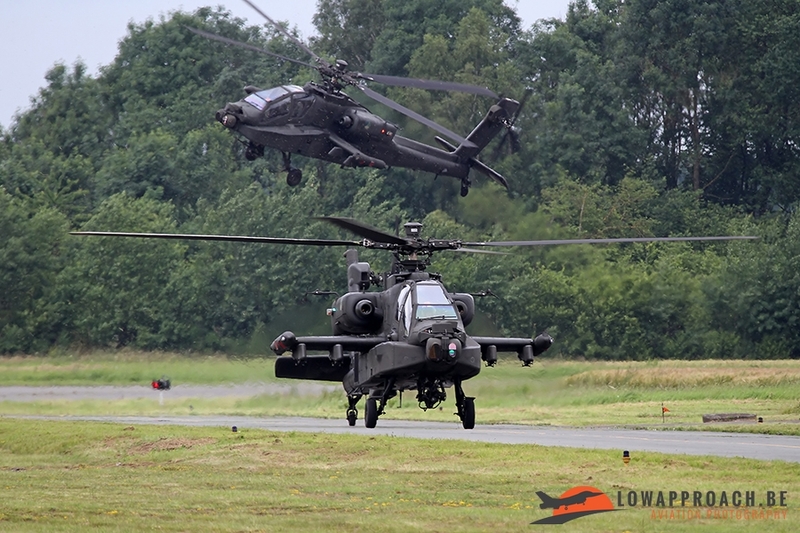 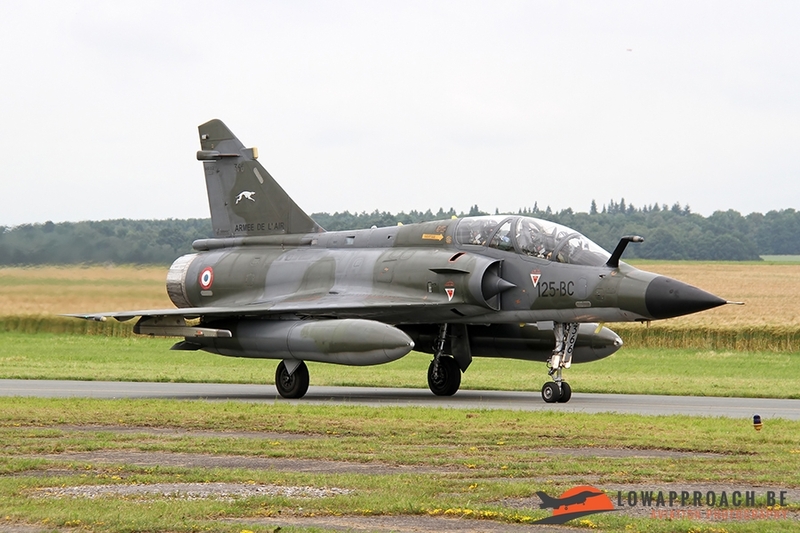 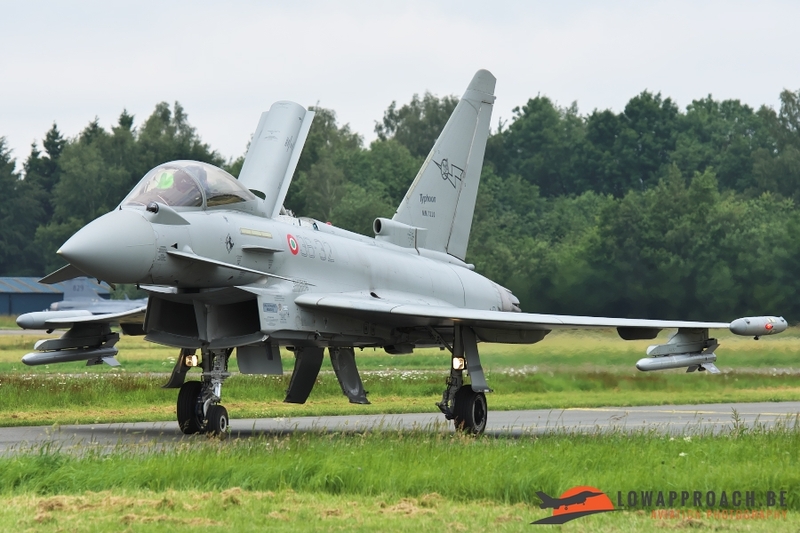 So during the last week of June a lot of aviation enthusiasts travelled of to the Province of Namur to witness the Belgian Air Force Days 2016 (BAFD2016). And so did a couple of members from Low Approach. 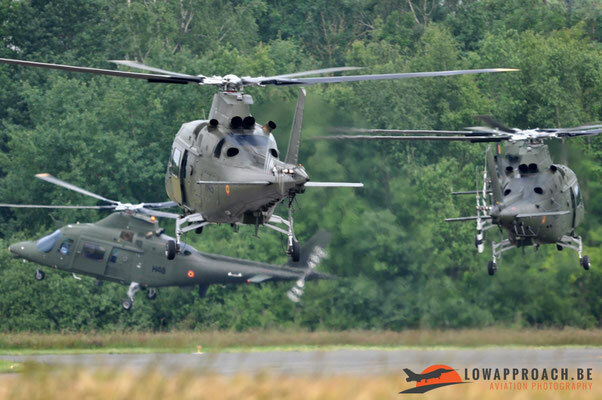 We, from Low Approach, attended the spottersday during arrivals and rehearsals on Friday, the airshow on Saturday and the spottersday during the departures on Monday. For this airshow there were a few special anniversary themes. 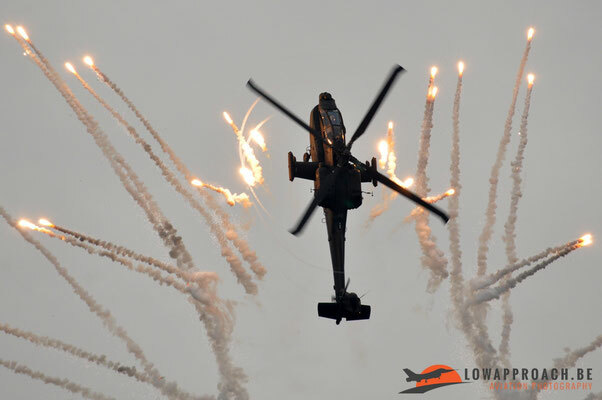 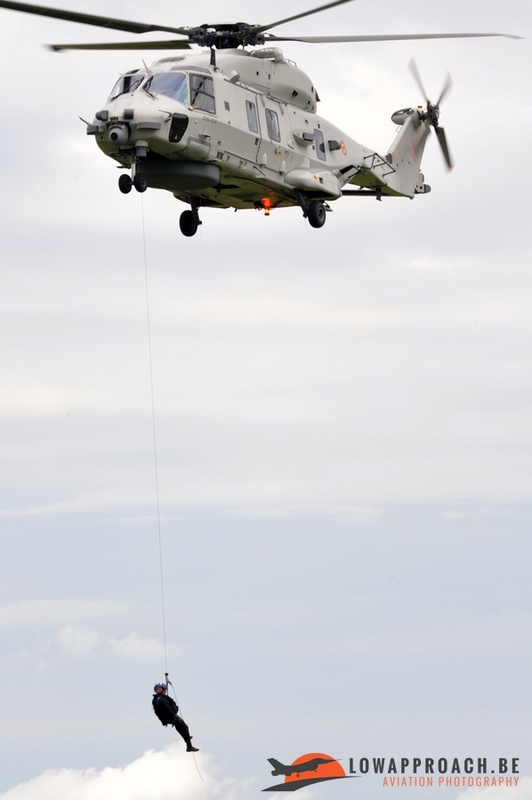 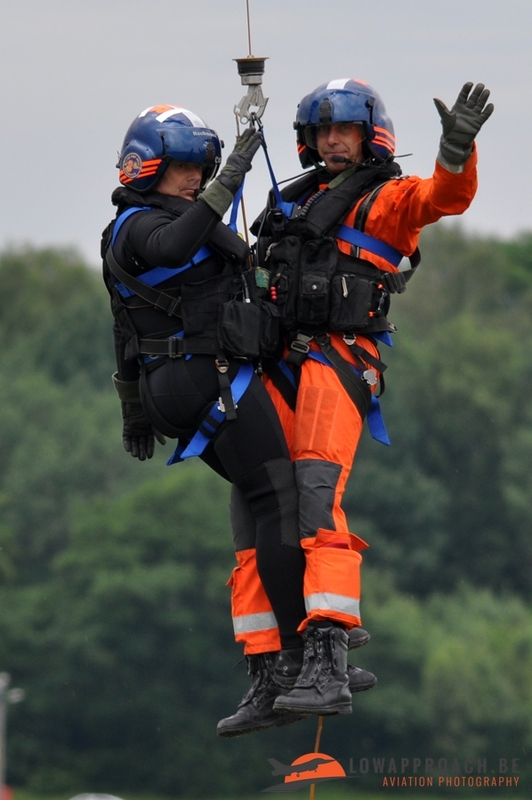 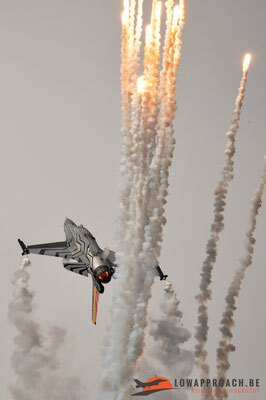 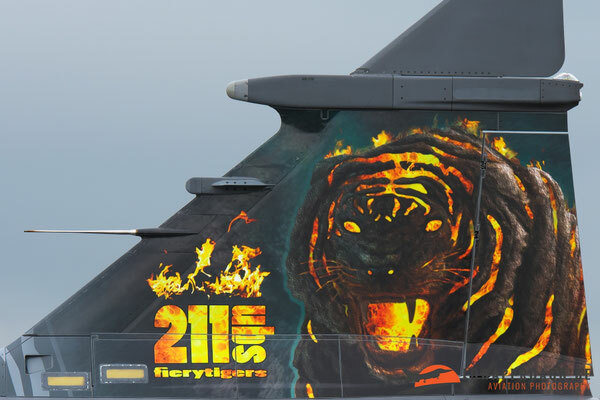 This year the Belgian Air Force celebrated their 70th anniversary. 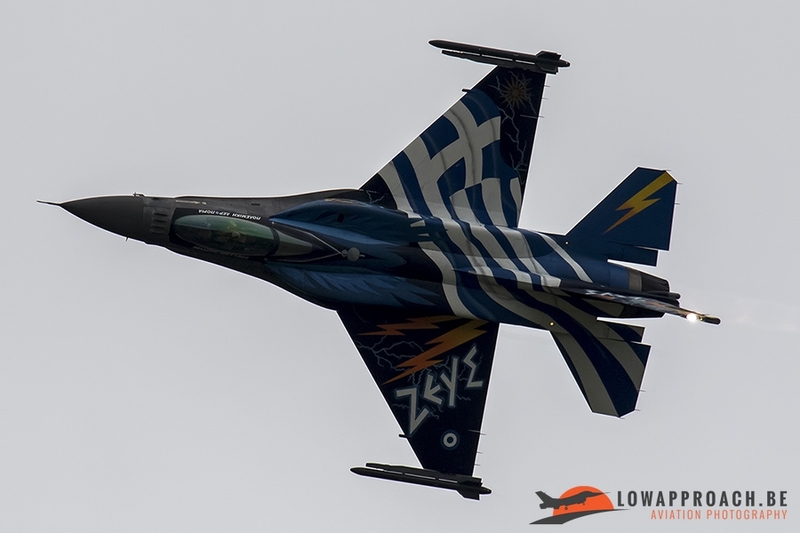 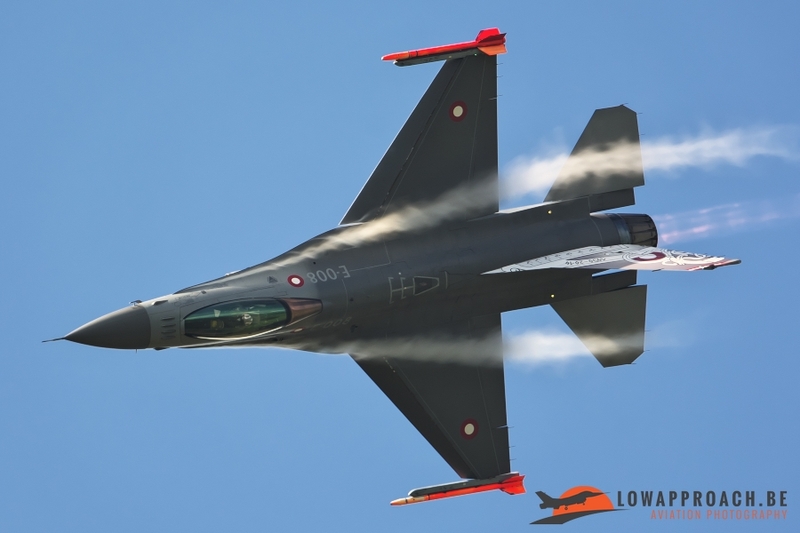 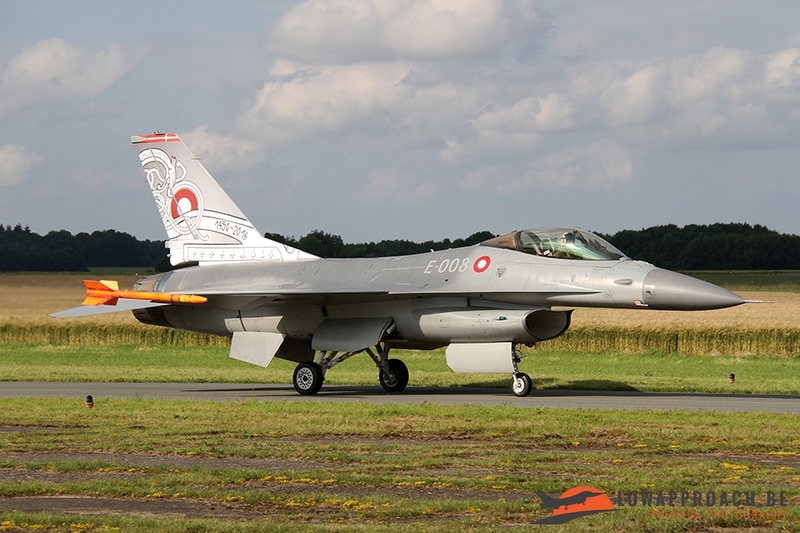 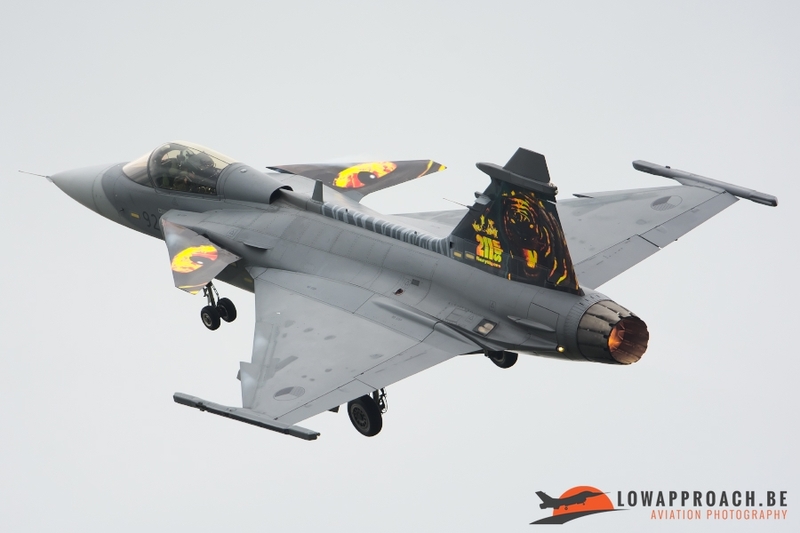 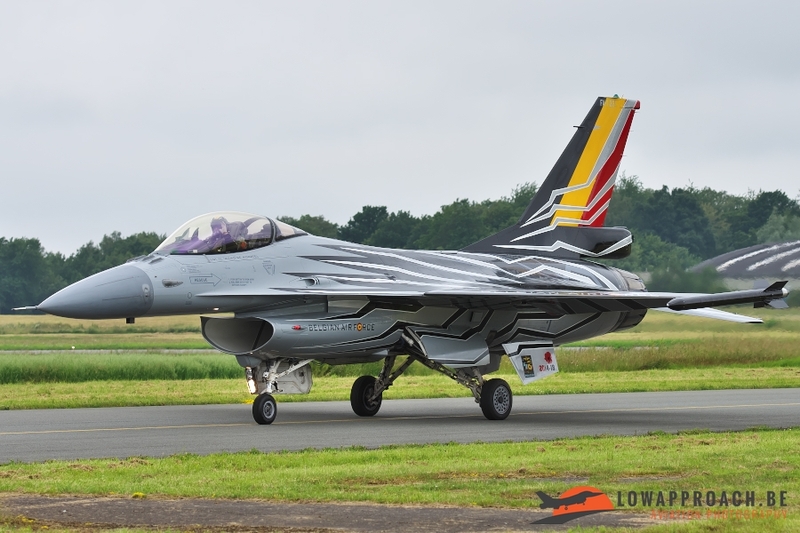 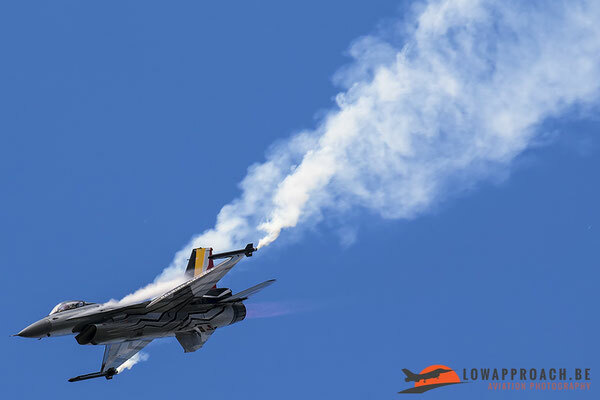 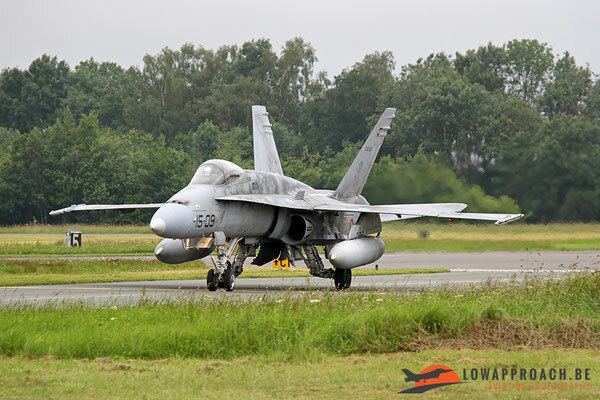 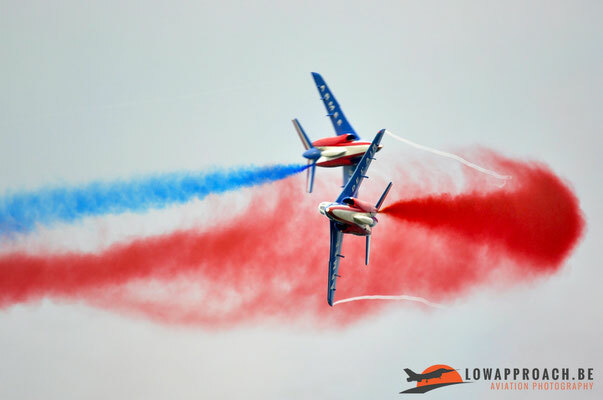 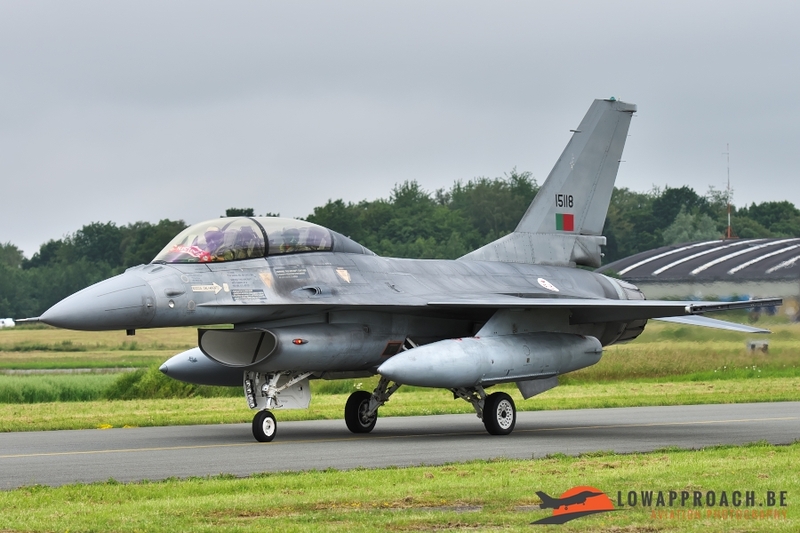 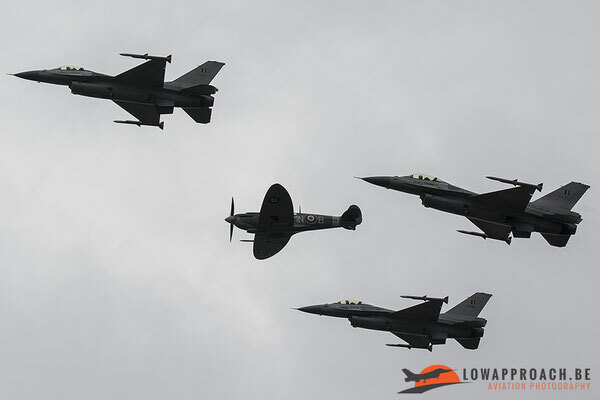 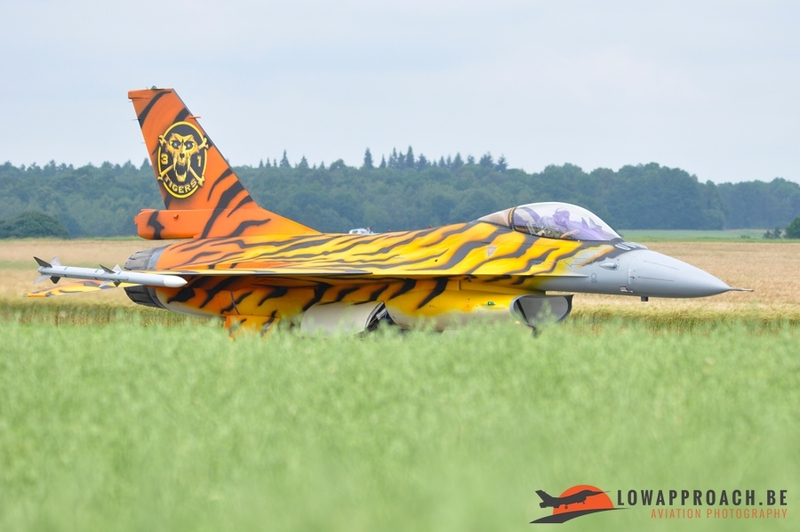 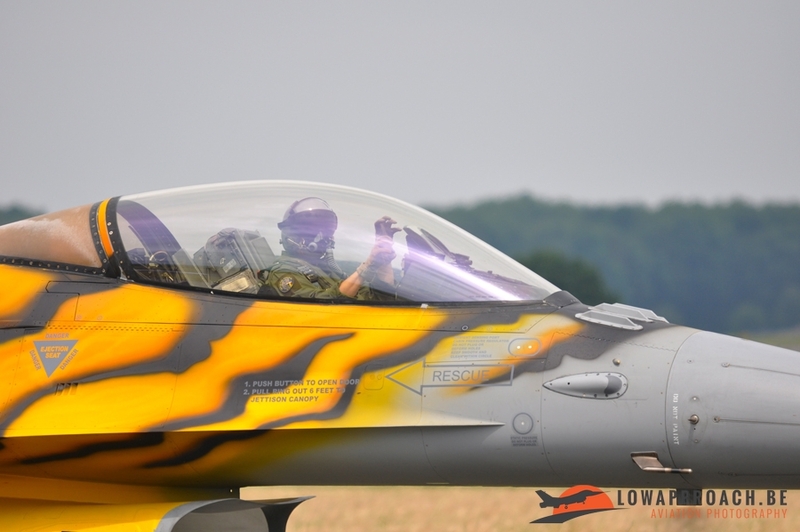 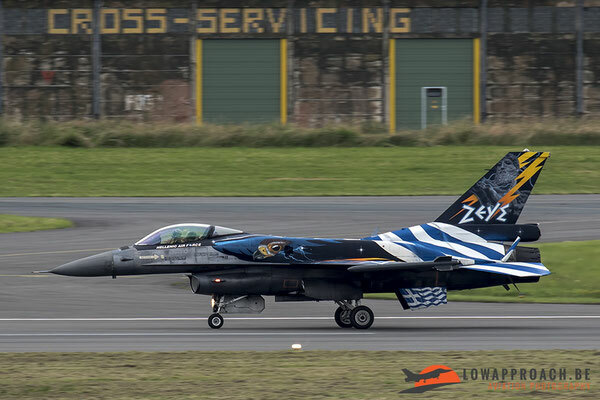 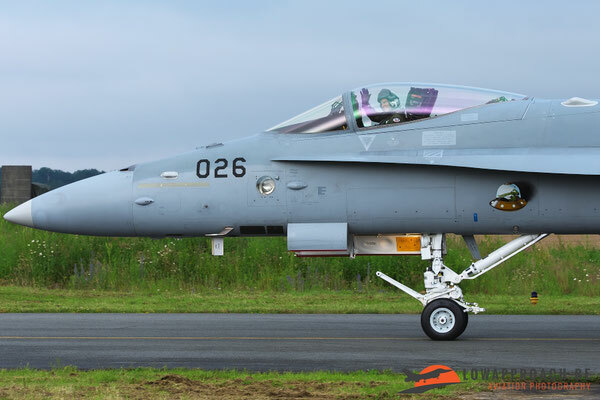 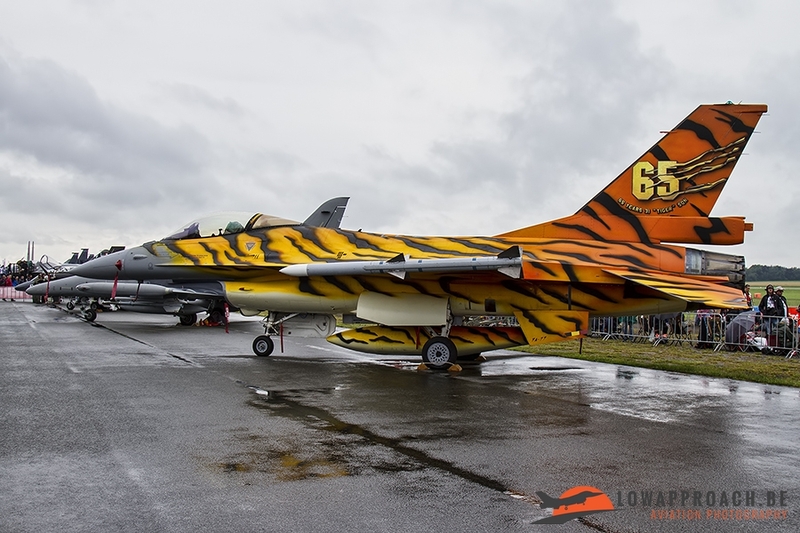 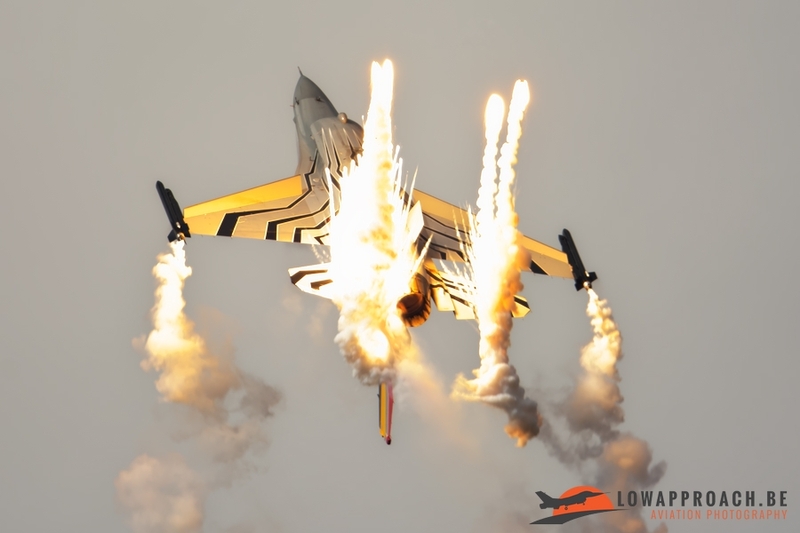 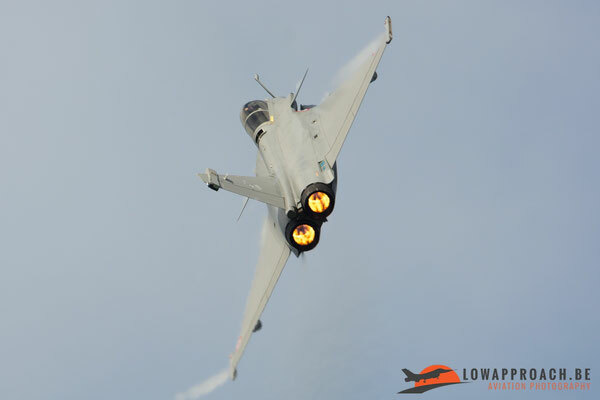 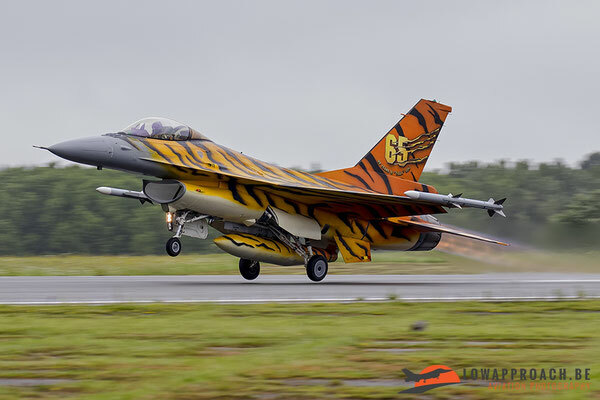 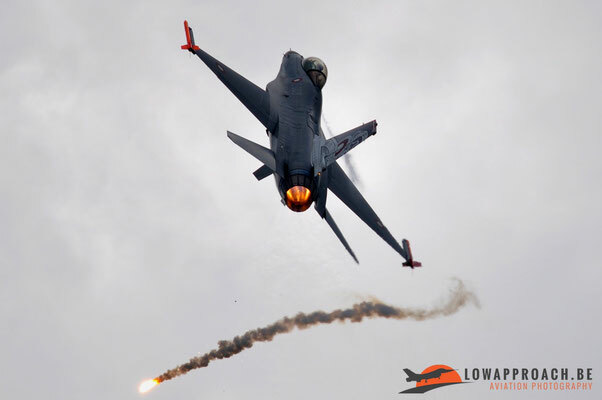 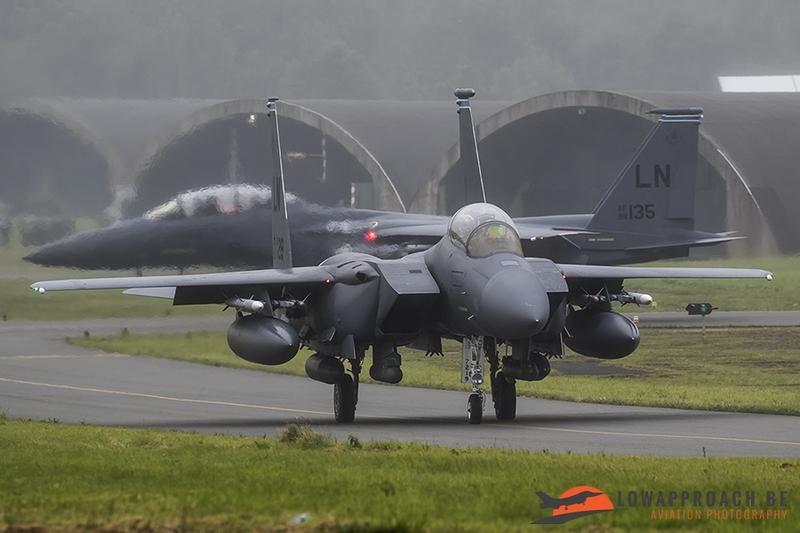 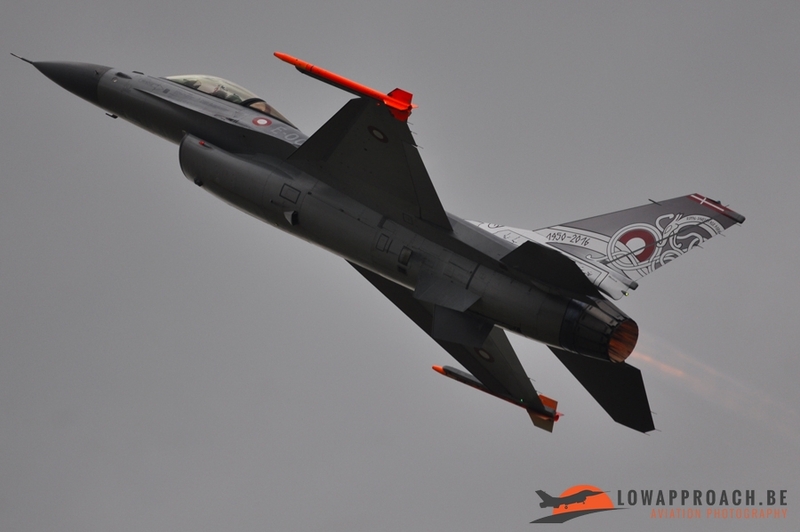 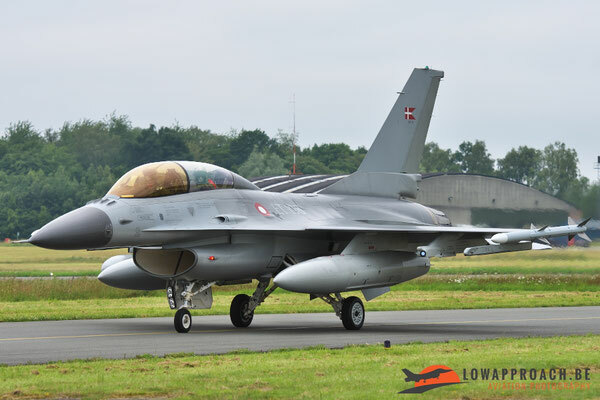 There was also the 20th anniversary from F-16 operations in the Belgian Air Force and a last theme that was celebrated during the airshow was the 75th anniversary from 350th squadron which was created during the Second World War. 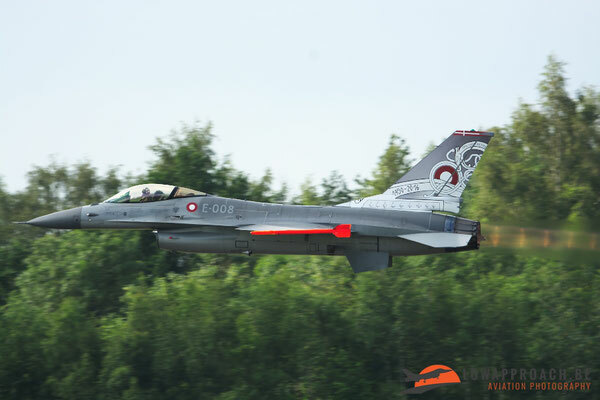 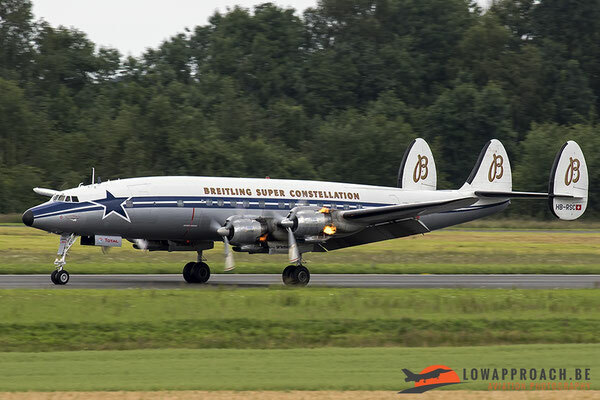 On Friday we arrived at the airbase for the spottersday during the arrivals and rehearsals from various participants. 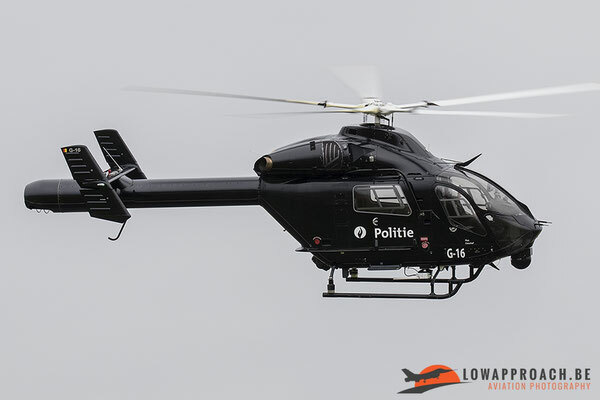 Due to the terrorist attacks in Brussels and in the rest of Europe a couple of weeks/months before the show, we and our bags first had to undergo some detailed checks before we could enter the bus that took us towards the spotters zone. 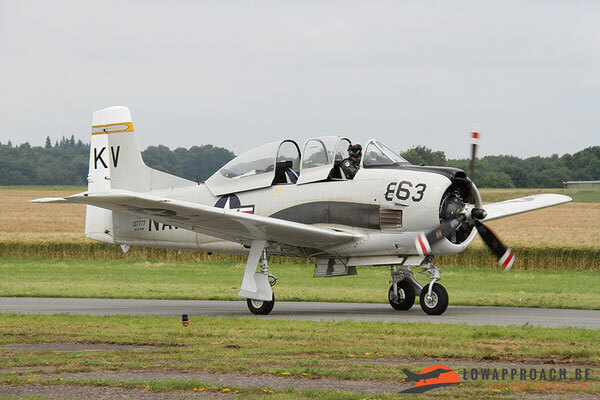 Before noon we were positioned alongside the runway and taxiway where we could photograph some arriving aircraft that landed and taxied past us. 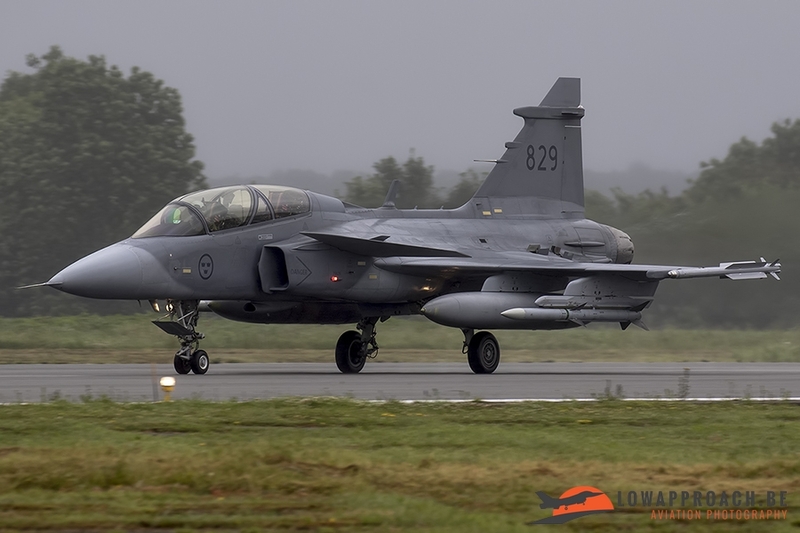 Thankfully we were positioned very close to the runway and taxiway because in the morning the weather was really terrible. Low hanging clouds and fog made it nearly impossible to view the aircraft that were already placed in the static park. 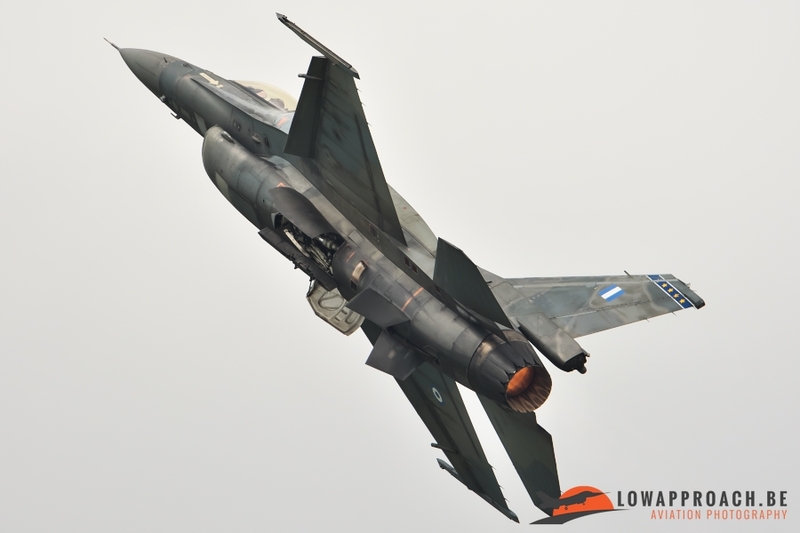 Luckily the fog and low hanging clouds disappeared as the day progressed. 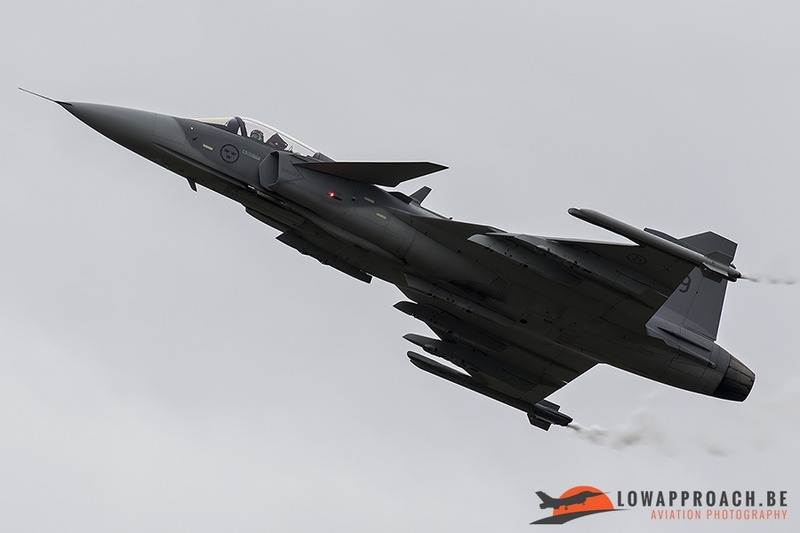 Around noon we were relocated to a second spotters zone because a couple more aircraft needed to rehearse their display. The second spotters zone was a bit further away from the runway, but by the time we needed to leave the first spotters zone, the weather was luckily improved a lot, even the sun made some nice appearances. 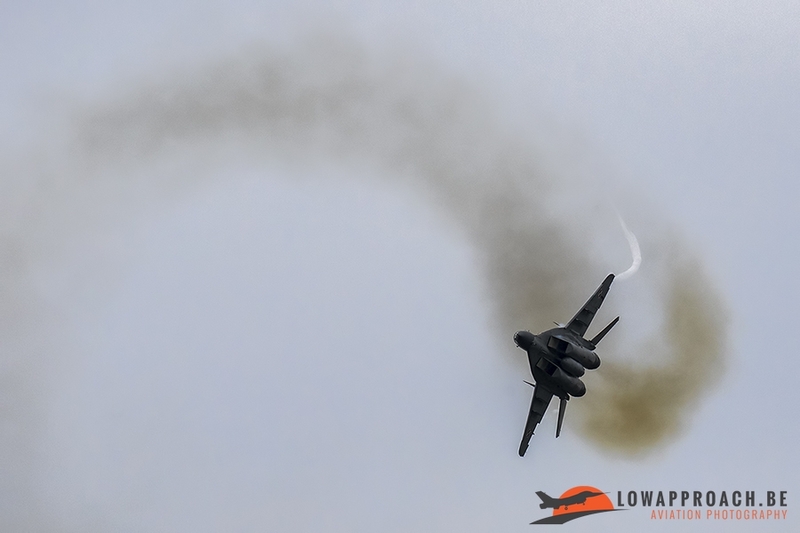 The humidity that was still in the air resulted in some very nice images from different planes which rehearsed their demo before the airshow. On Saturday we attended the airshow. 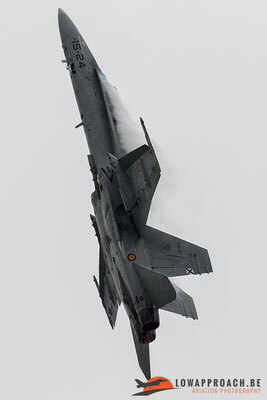 But just like Friday the day started really cloudy but luckily improved throughout the day. When we arrived we were told that people who had bags or other things with them needed to go into a separate queue for extra security checks. This was also communicated in advance on the BAFD’s facebookpage and official site. After the extra security checks we were quite surprised that we had to walk a pretty long way before we reached the static park and we sadly missed the first item from the flying display due to the long walk. 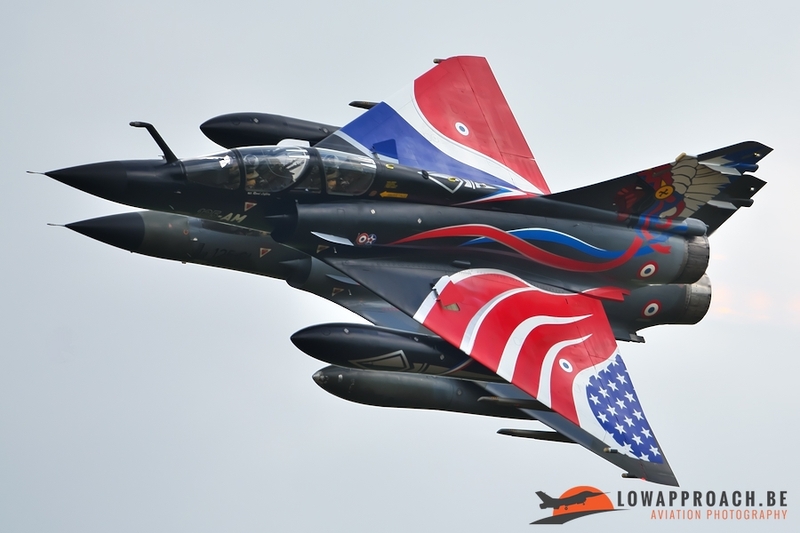 This was a couple of formation passes from 6 Belgian Alpha Jets which drew the Belgian flag in the sky by using colored smoke. 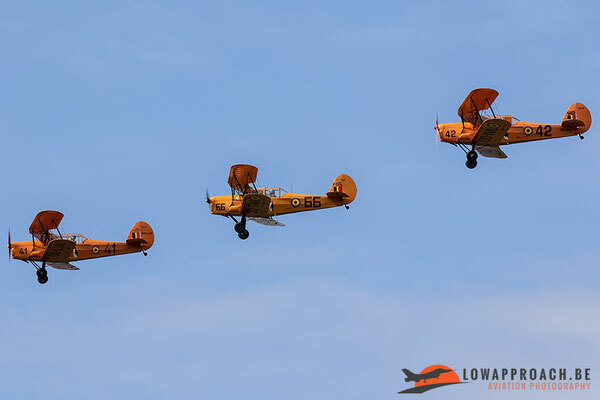 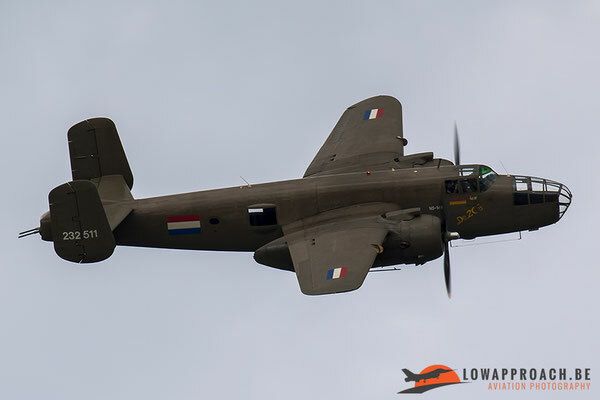 We were pretty disappointed we missed these planes because they won’t fly that long anymore for the Belgian Air Force and outside the airshows in Belgium it’s a type you don’t see that very often anymore over here since they’re moved to Cazaux in the south of France. But luckily the organizers from this airshow managed to attract some other really amazing participants to this airshow so the missed Alpha Jets were soon forgotten once the other great displays took off to perform their routines. 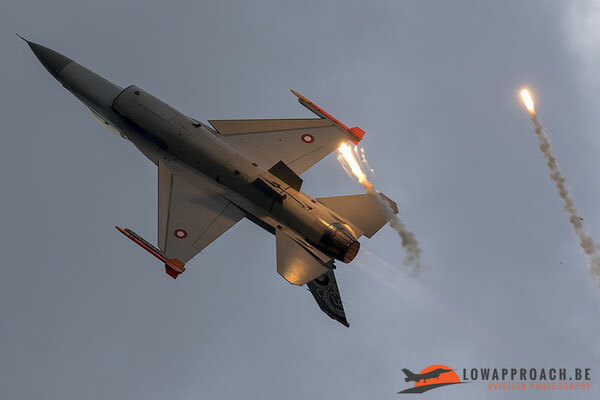 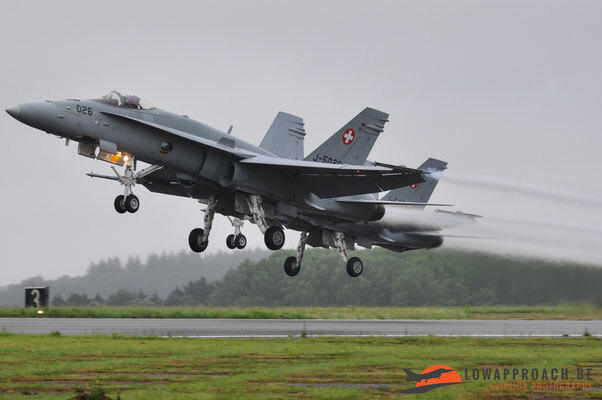 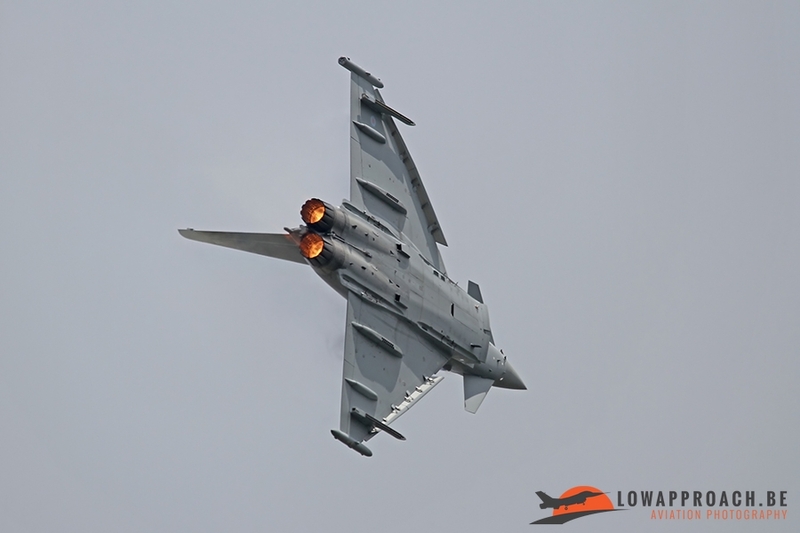 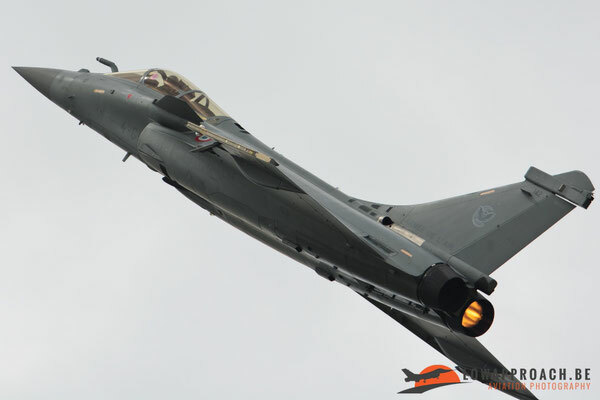 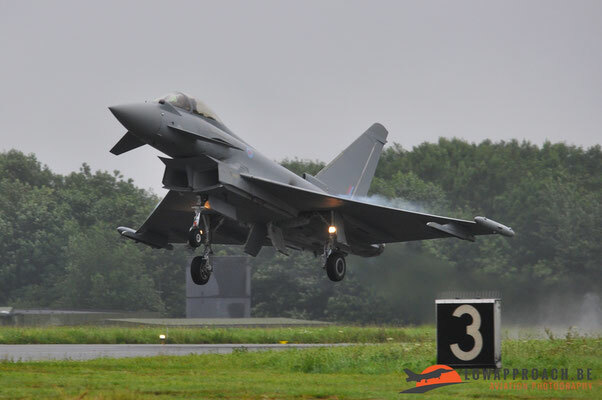 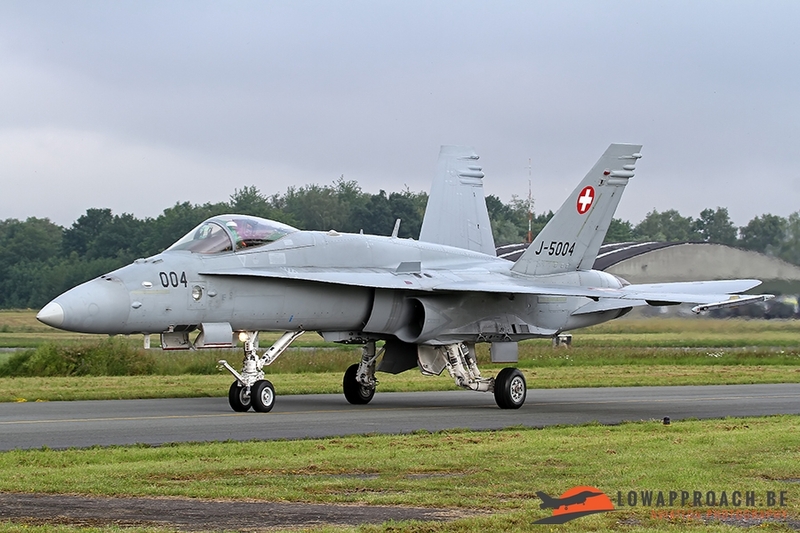 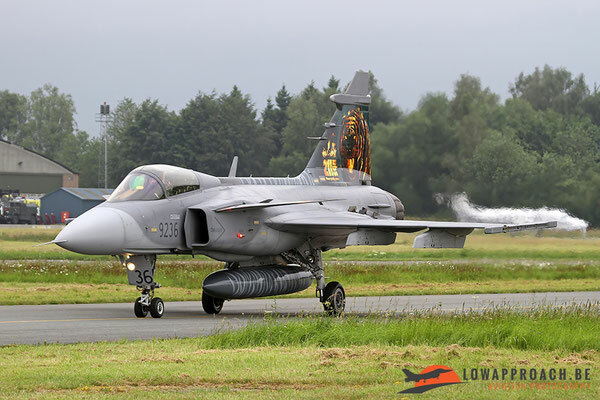 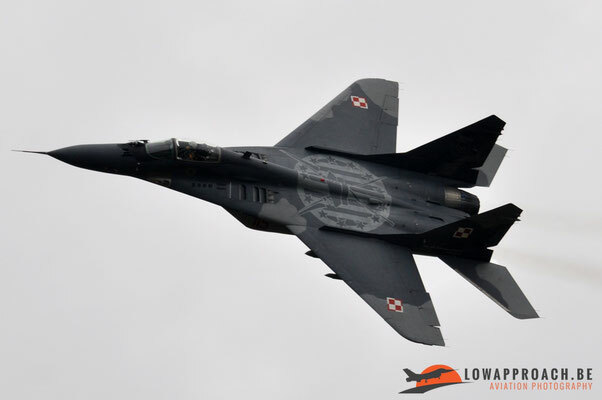 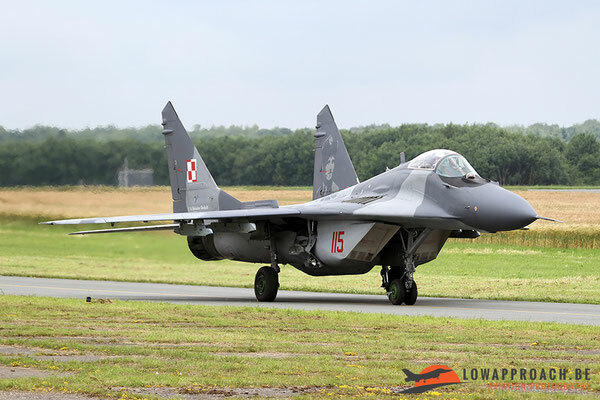 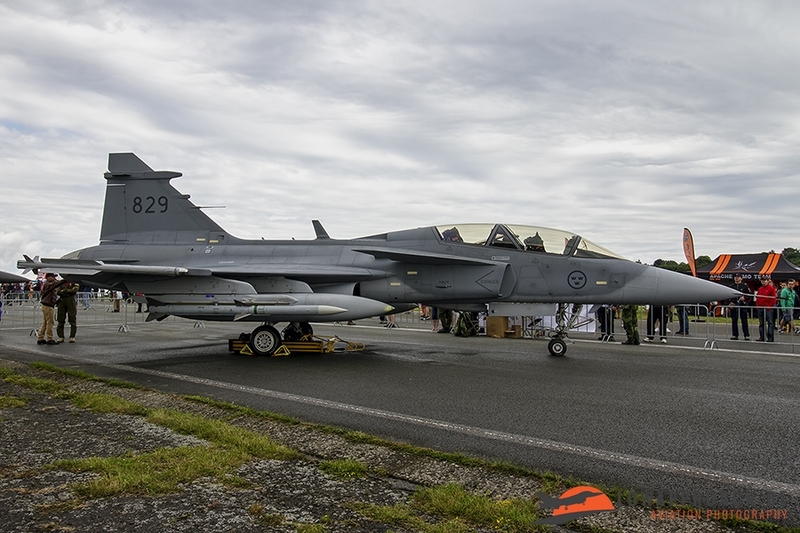 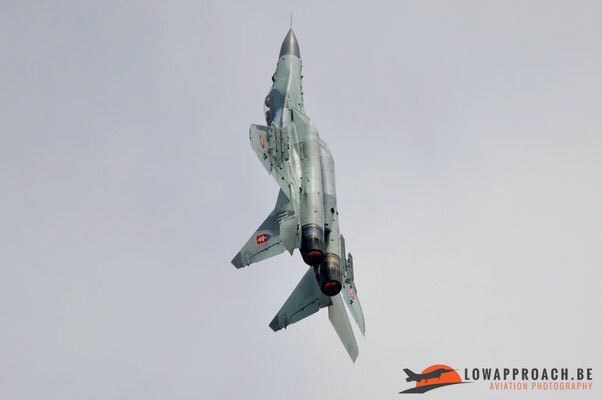 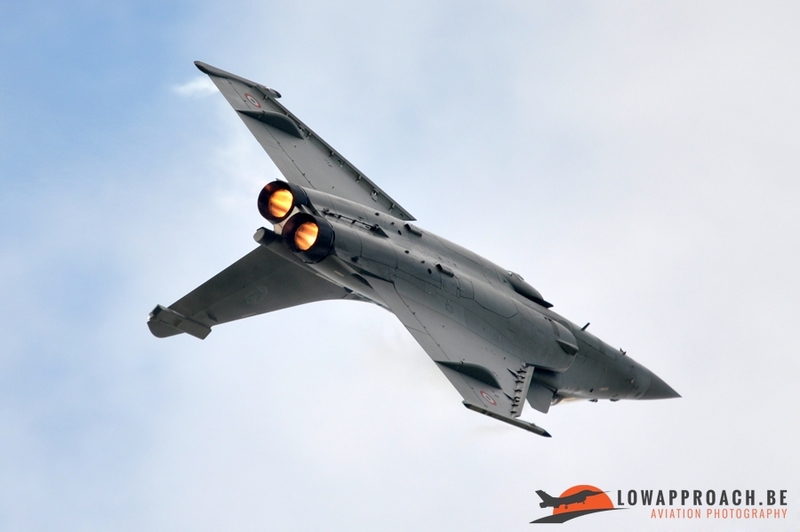 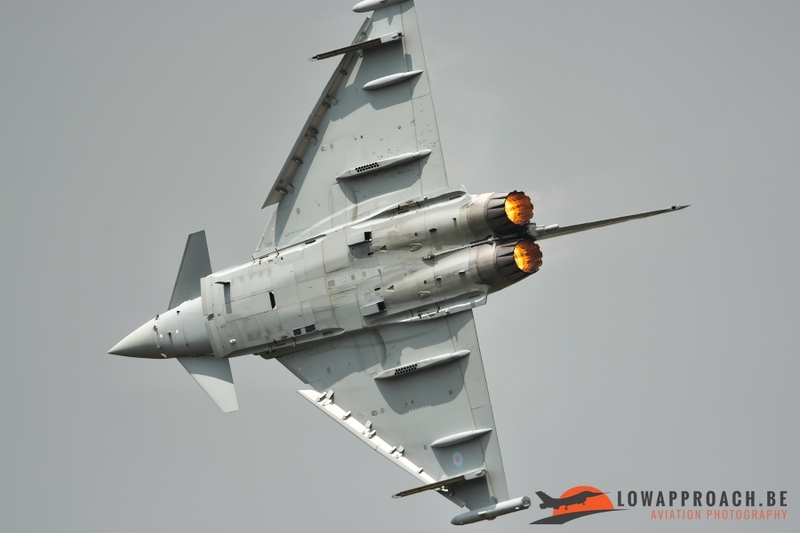 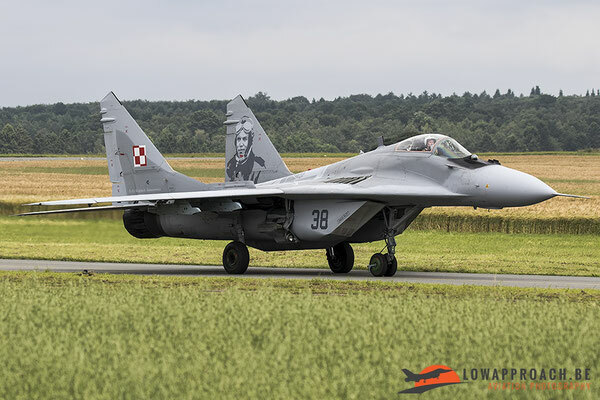 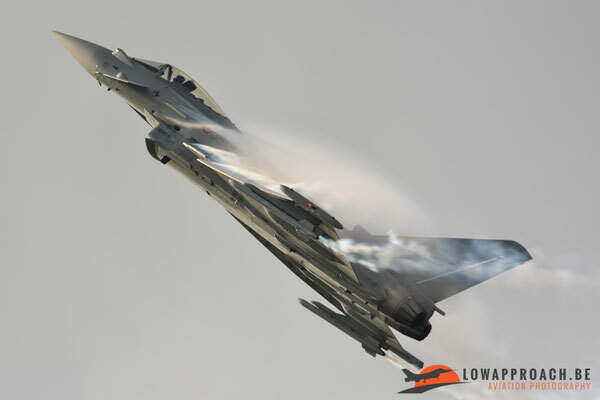 A few participants that are really worth mentioning are the Spanish F-18 Hornet, the Polish and Slovakian MiG-29’s, the French Rafale, Ramex Delta and the Danish F-16 display. 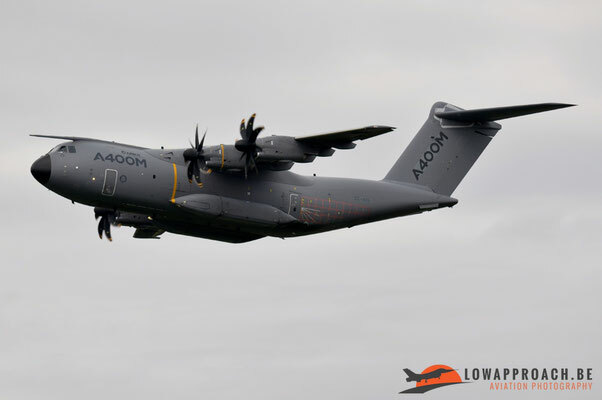 A nice first for the Belgian airshow scene was also the appearance of the A-400M which made a couple of passes. 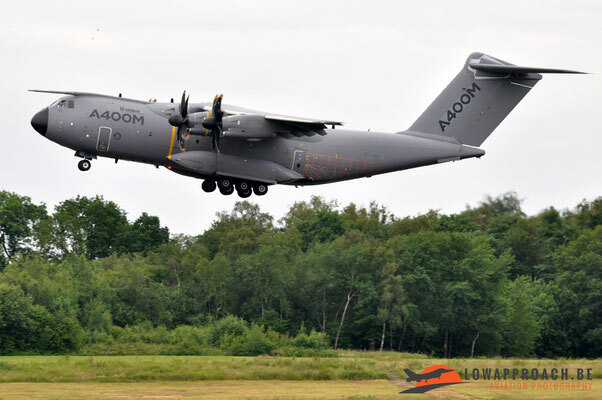 This aircraft is the successor for the C-130 which is now the workhorse in the Belgian Air Force. And if the great international display acts couldn’t please you enough, the organization also planned some great fly-by’s from aircraft that served and still serve in the Belgian Air Force. 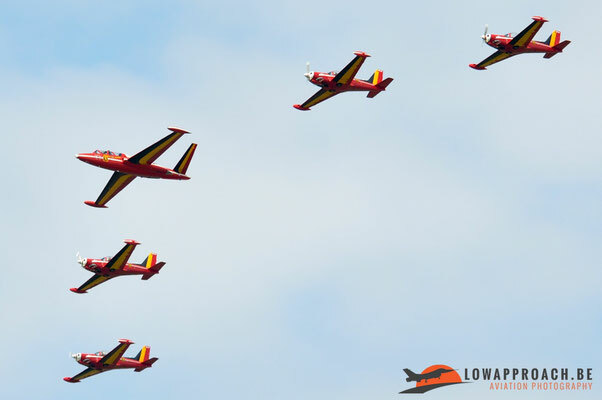 There were formation passes from 3 SV-4’s, some great formation passes from 3 F-16’s with a Spitfire and last but not least a couple of formation passes from a Fouga Magister in Red Devils-colours (which was recently purchased and shipped from America) together with the Red Devils formation team! 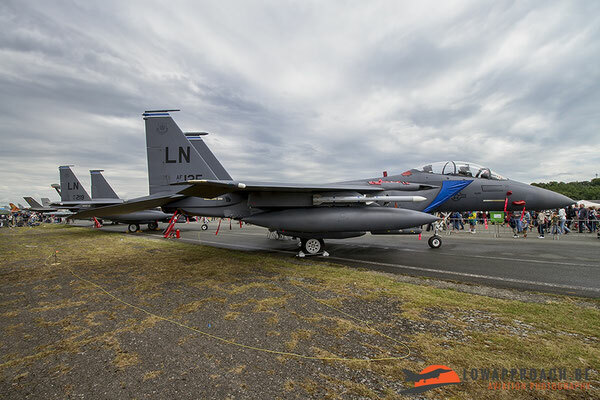 Air Force Phantoms present, 2 USAFE F-15 Strike Eagles, a Polish and Slovakian Air Force MiG-29, a Swedish JAS39D Gripen, … Unfortunately, due to the long walk from the parking spot to the viewing area and the very impressive flying program we didn’t had the time to do the whole static park, but we still want to show you some pictures we took from a couple of static items. 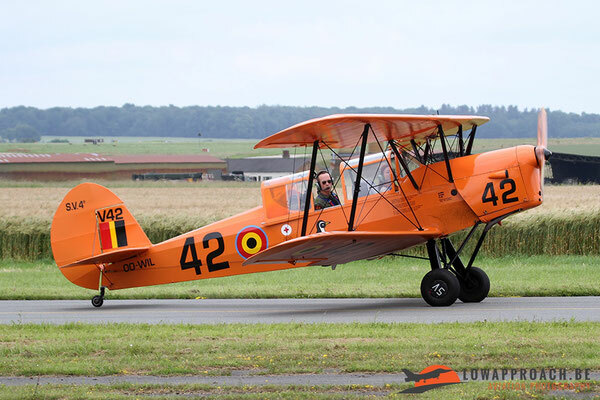 On Monday, Lien and Tim, went to the spottersday for the departures. 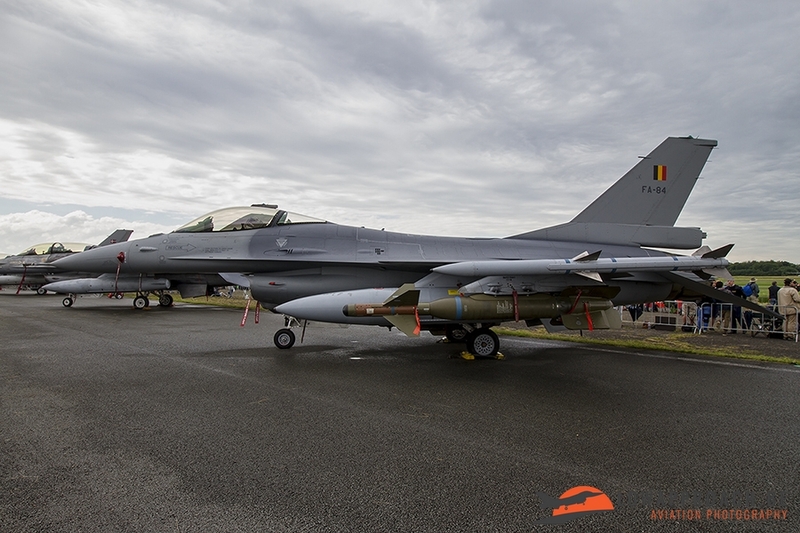 Just like the previous days we underwent a detailed security check before entering the airbase. 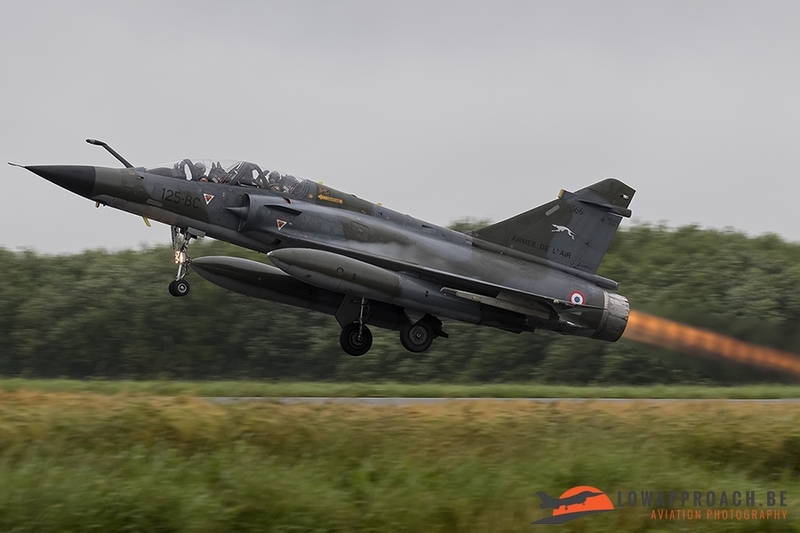 And just as the previous days, the weather on this day was really bad, if not the worst during the 3 days we visited the airbase. 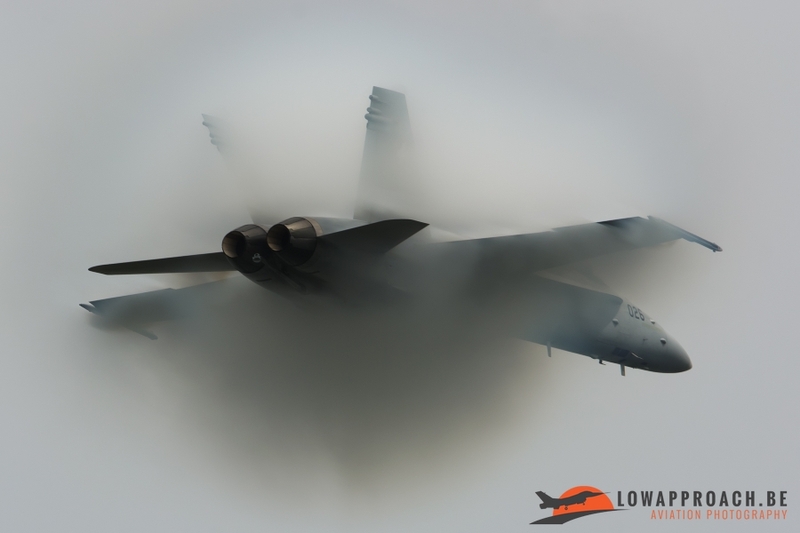 Low hanging clouds, light rain and fog delayed the first departures. 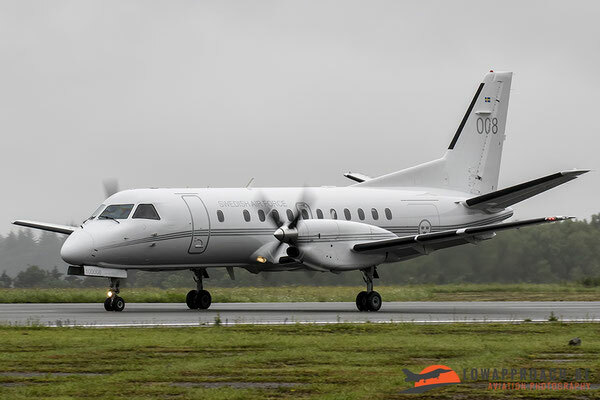 Luckily, for this spottersday, we were once again positioned very close to the runway, so when the aircraft finally could take-off in slightly better weather, we could still make some decent pictures considering the bad weather. During the departures, some interesting support aircraft could be seen arriving or departing. 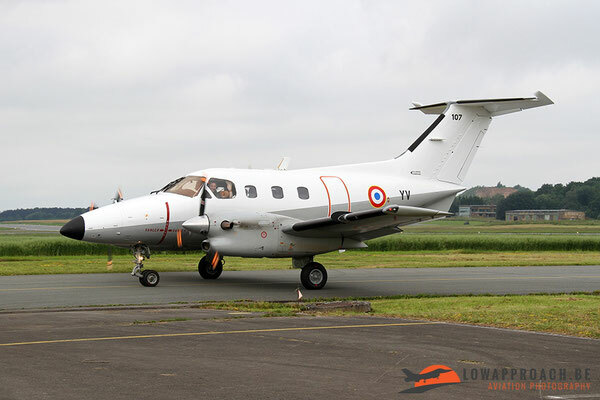 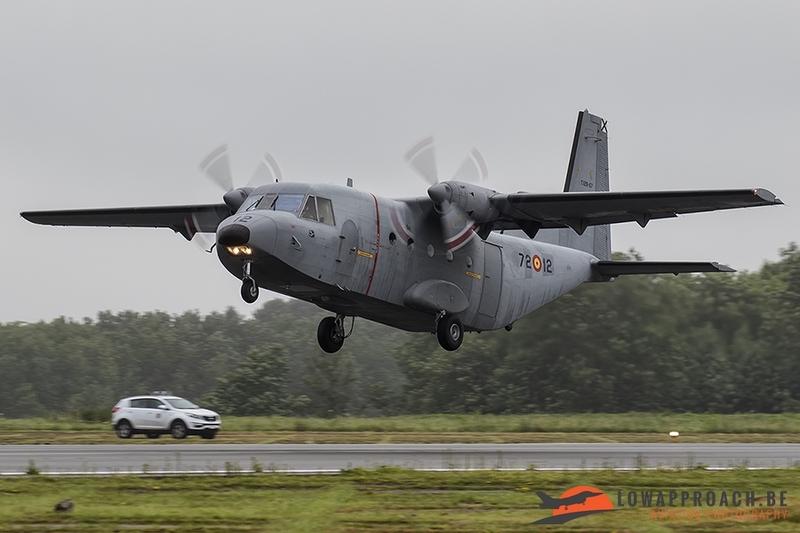 For example there was a Spanish Air Force C-212-100 Aviocar and a Swedish Air Force Saab Tp100C. 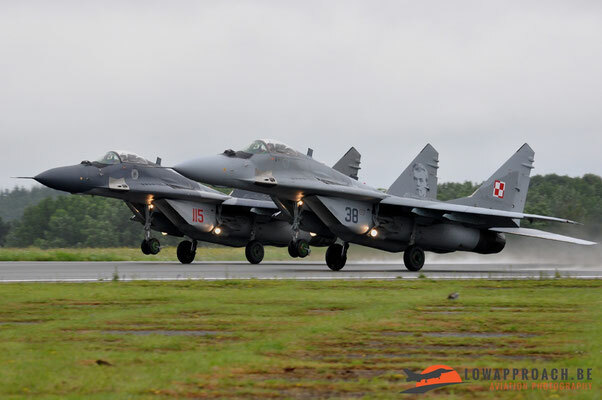 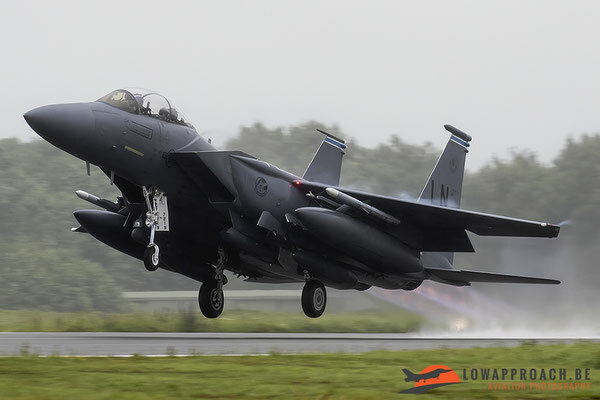 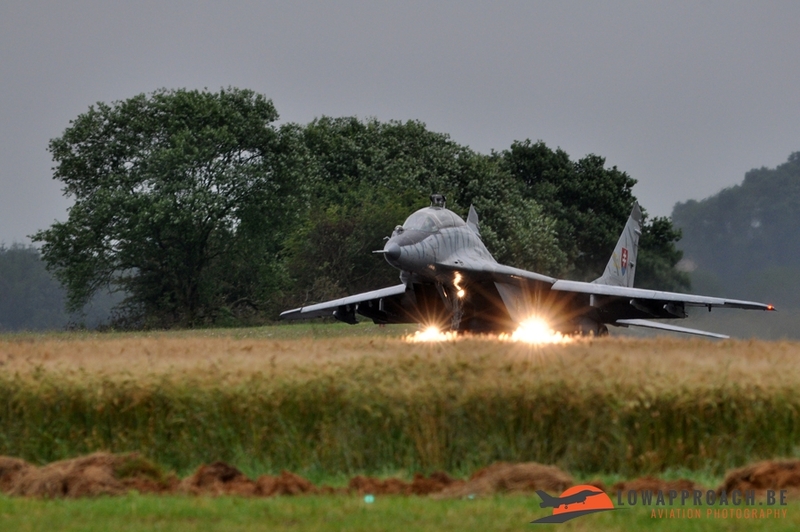 Due to the bad weather, Lien and Tim didn’t stay till the end of the departures on Monday, but decided to leave after the second Slovakian Mig-29 had departed. 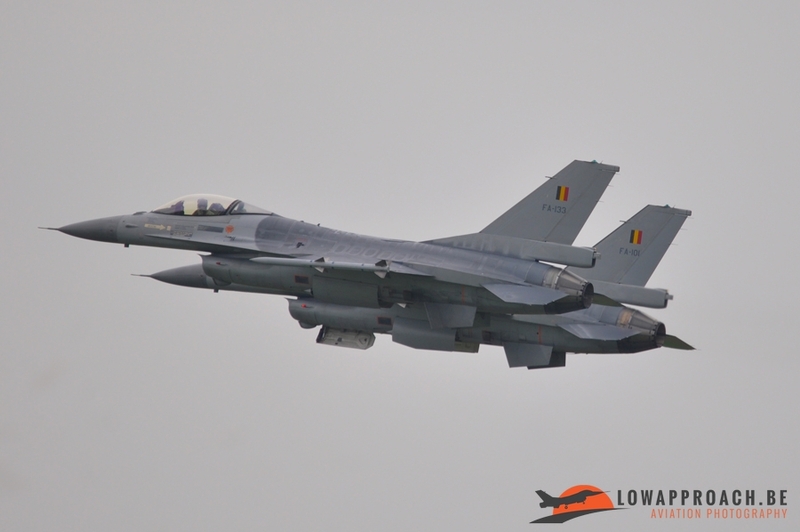 To conclude we want to say that the Belgian Air Force Days 2016, held at Florennes Air Base were really worth visiting despite the strict security checks and the long walk towards the flight line because the organization managed to attract some really interesting participants, both in the air and on the ground. 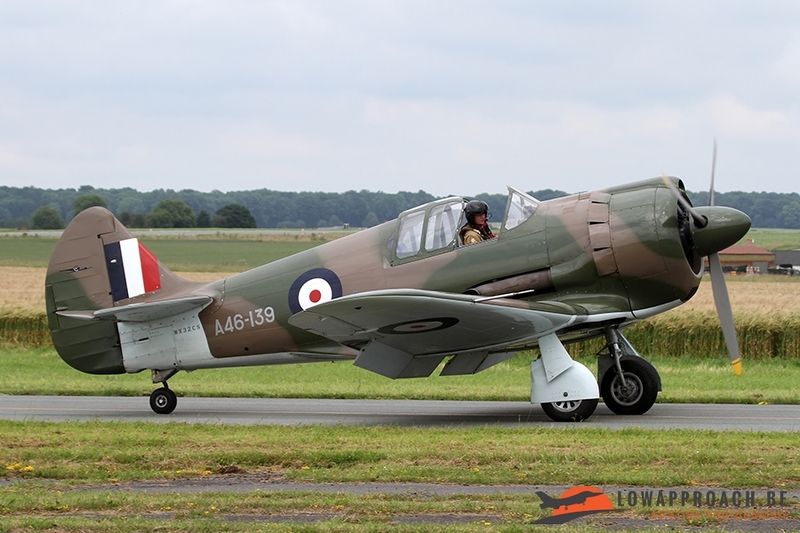 From warbirds to the newest jets or helicopters, there was certainly something interesting to see for everyone, being it on the ground or in the air. 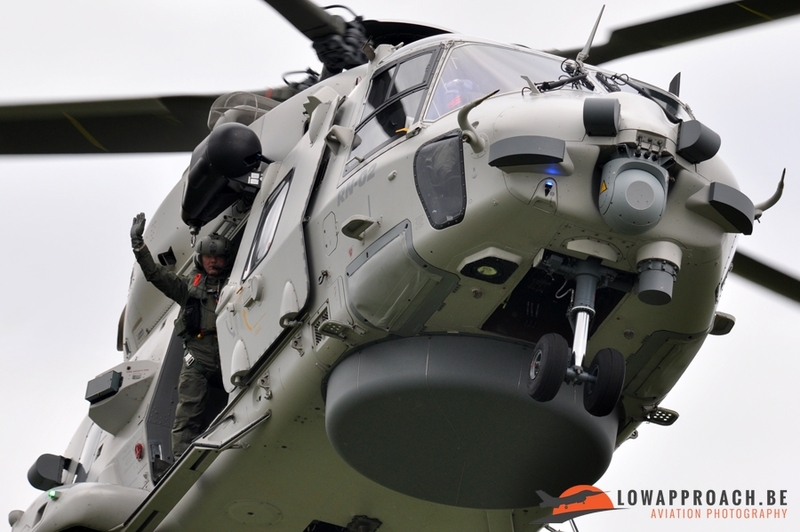 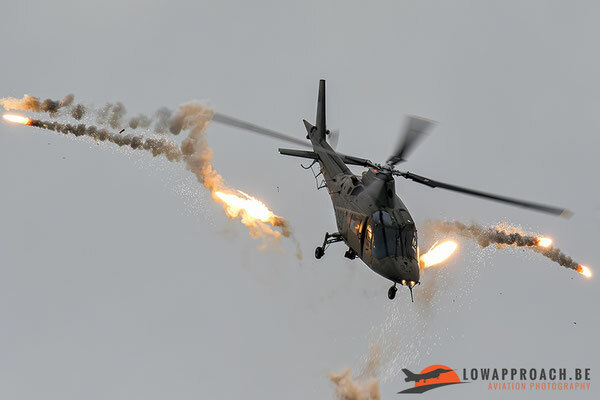 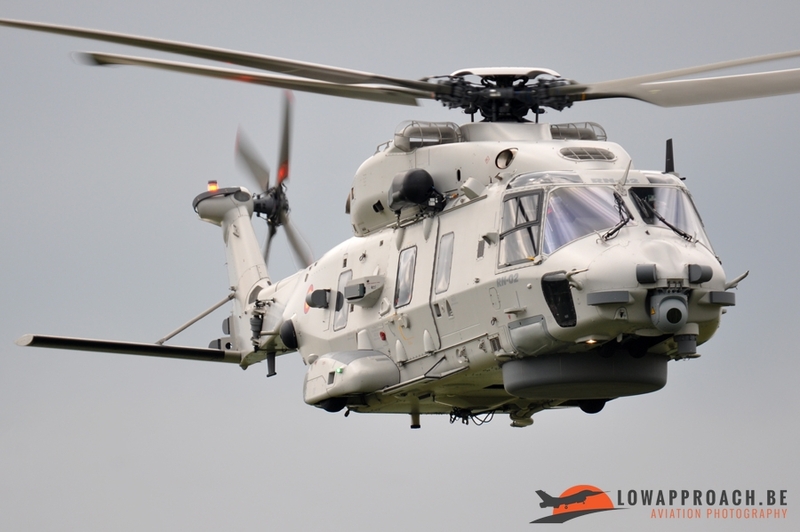 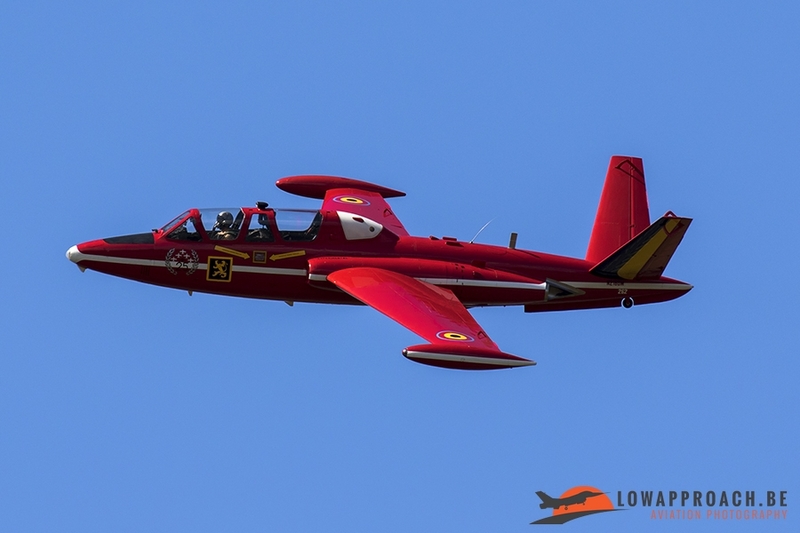 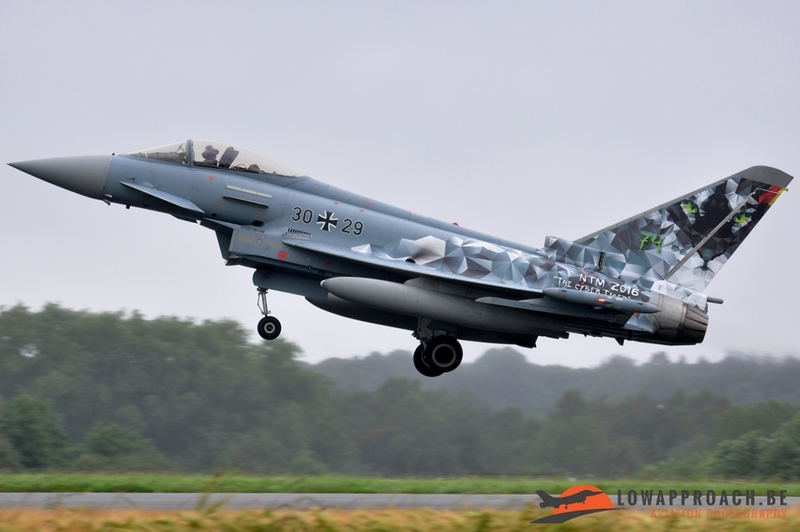 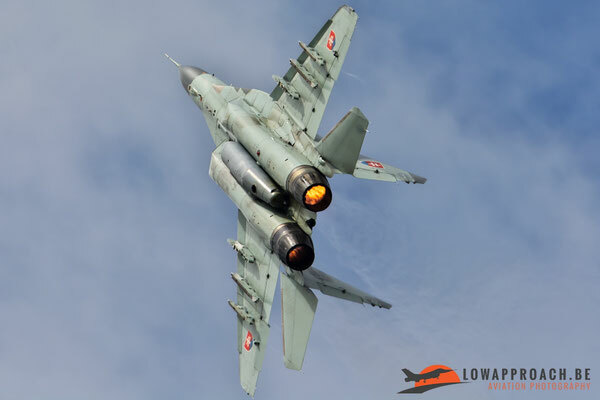 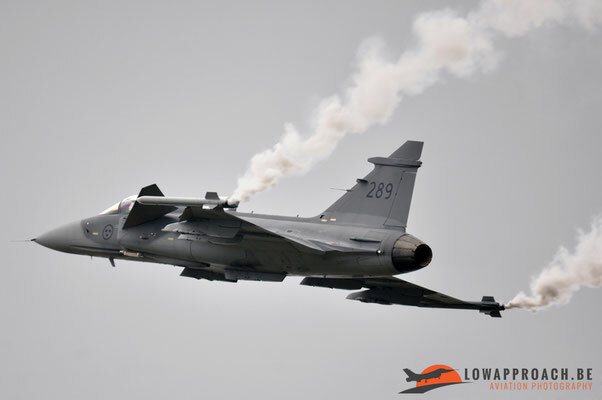 We’re really looking forward to the next edition from the Belgian Air Force Days which would normally be held at Kleine Brogel Air Base in 2018.